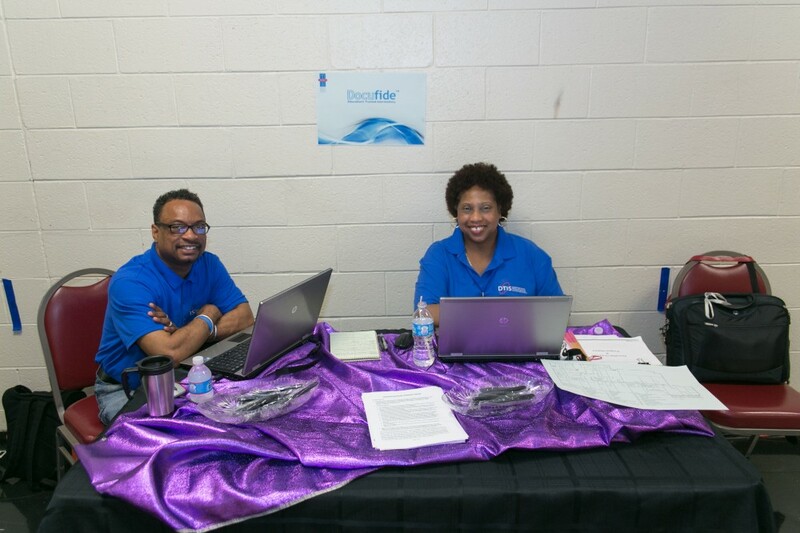 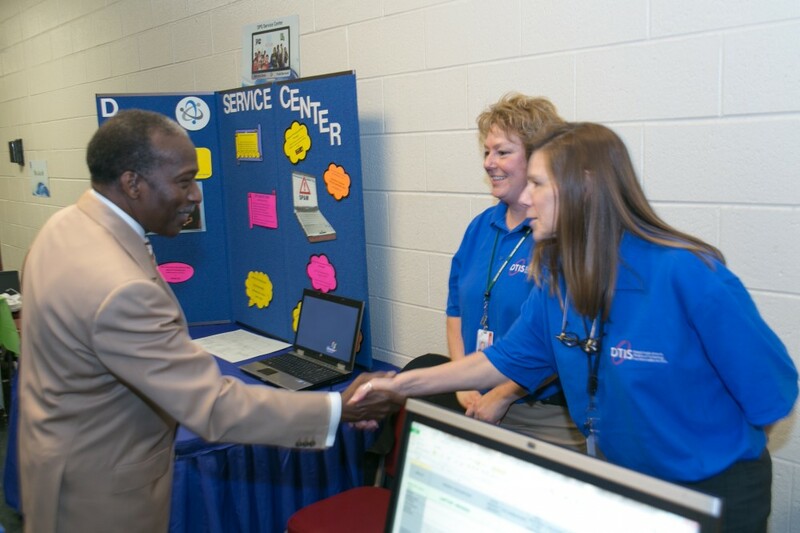 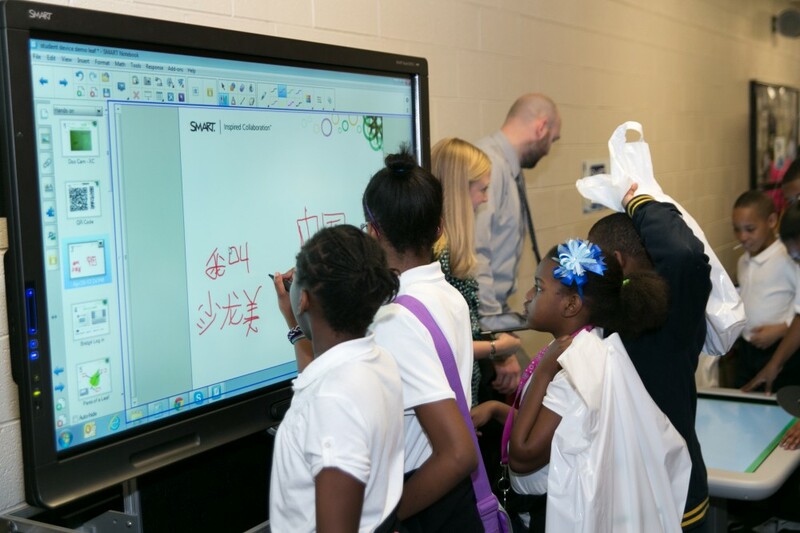 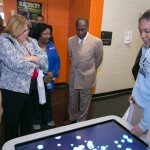 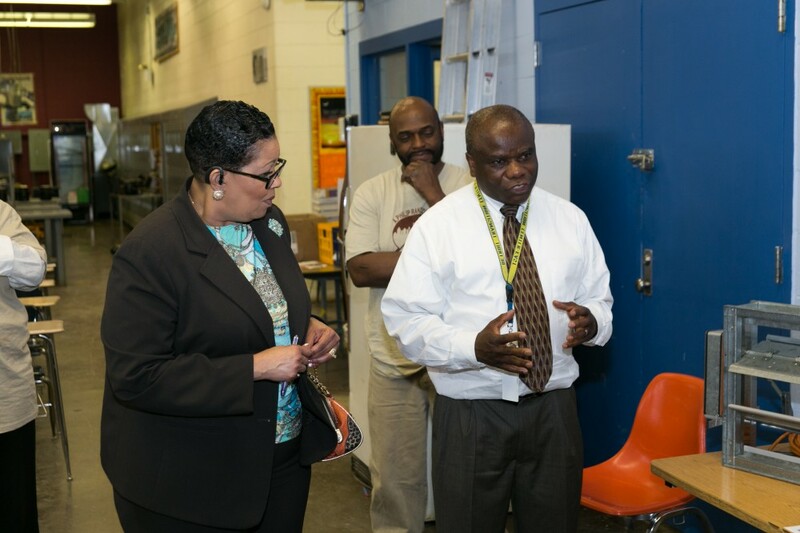 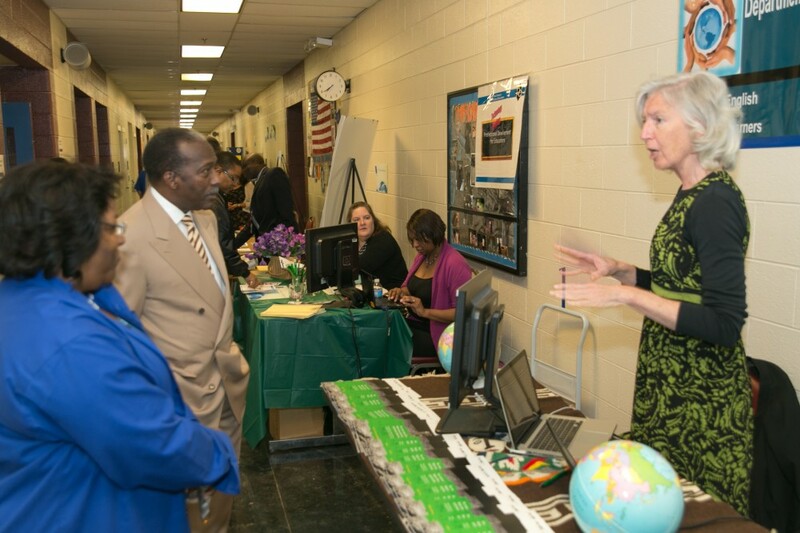 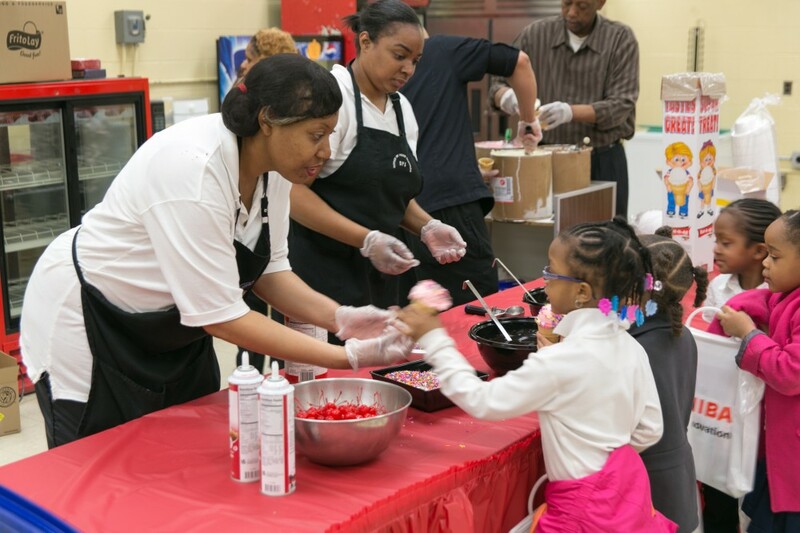 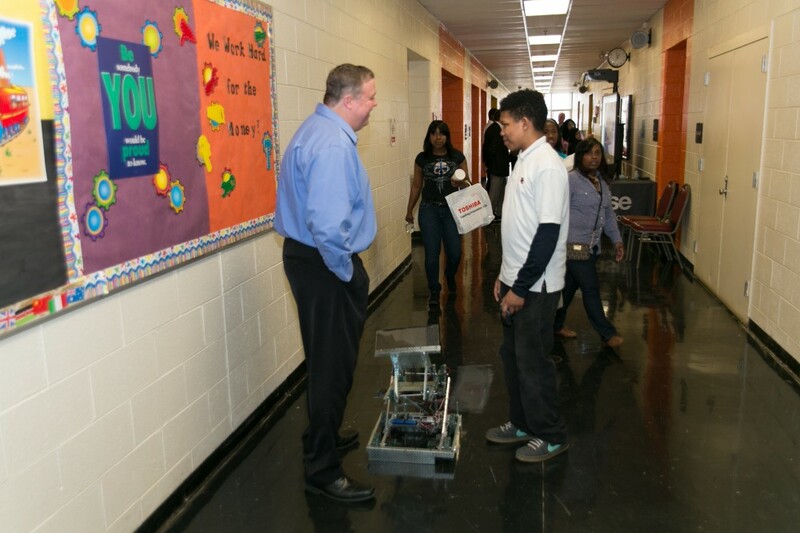 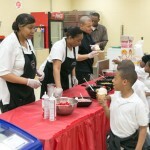 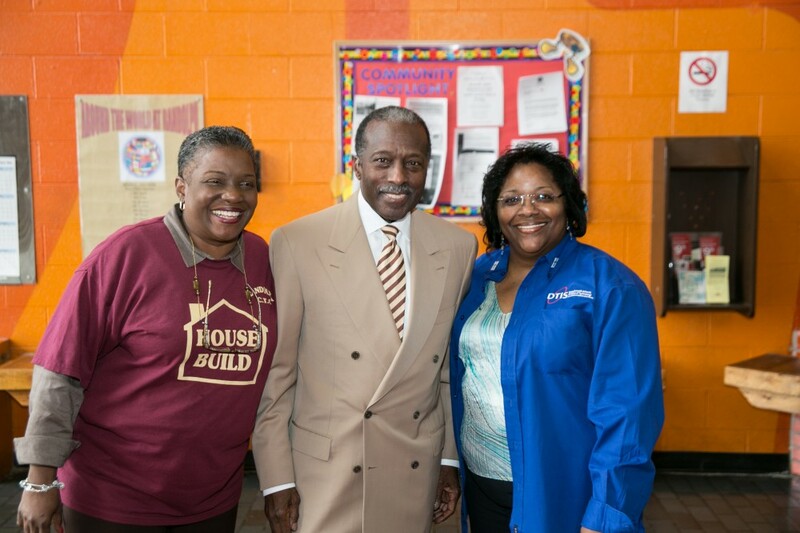 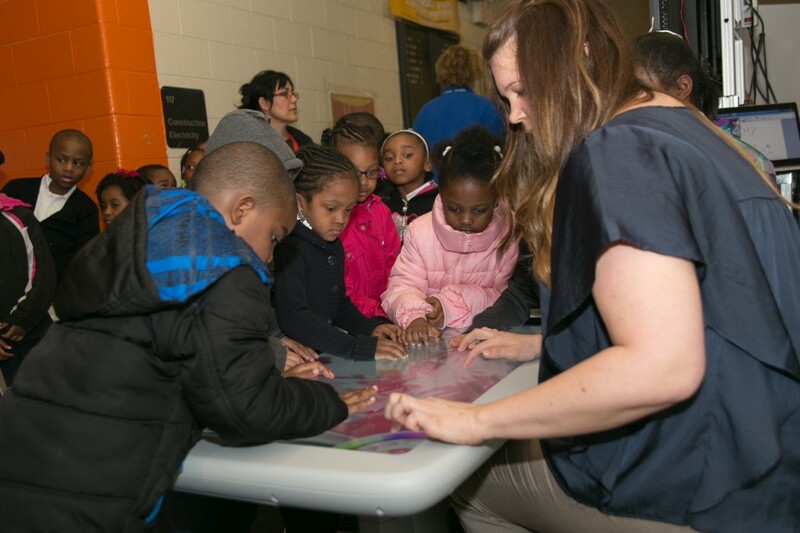 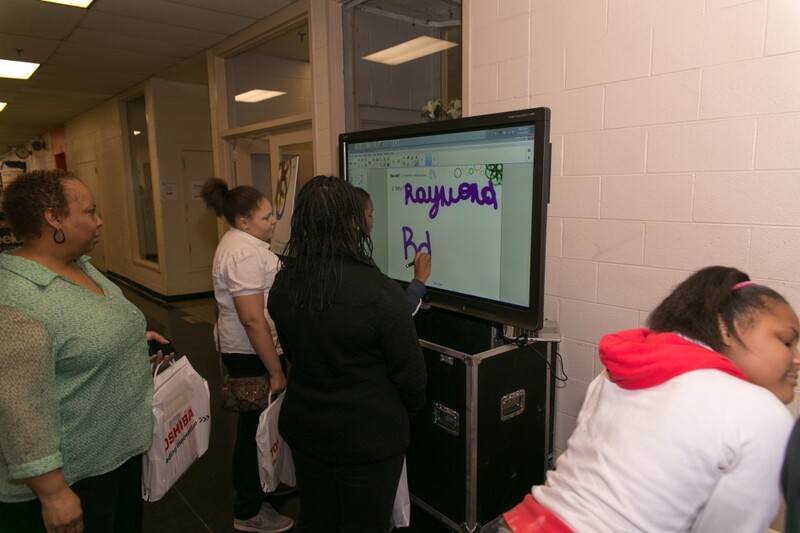 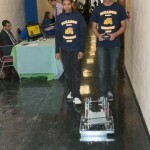 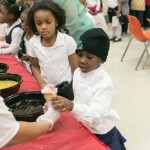 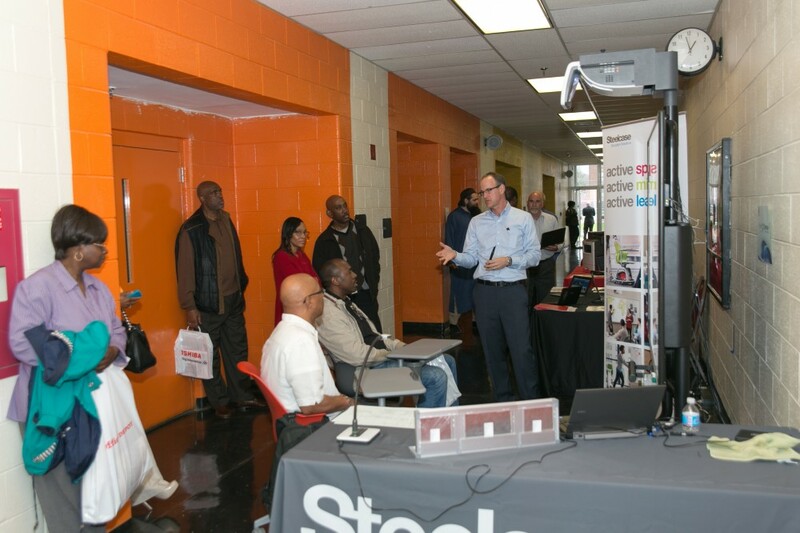 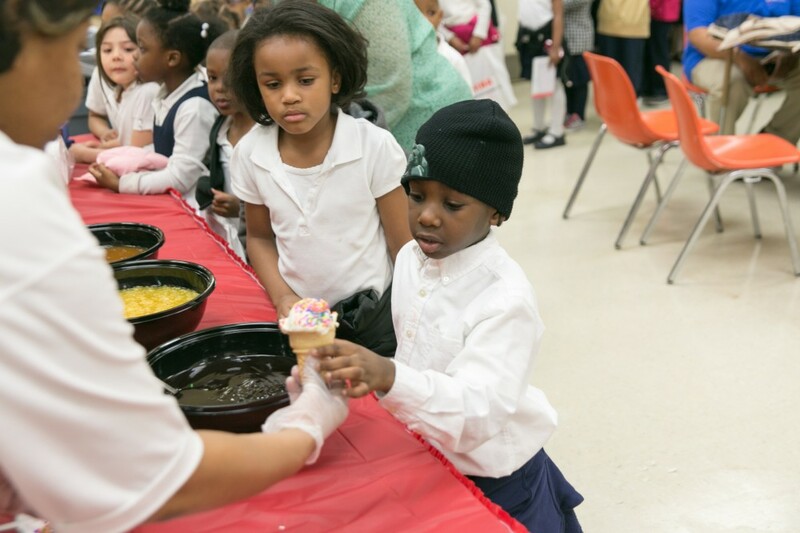 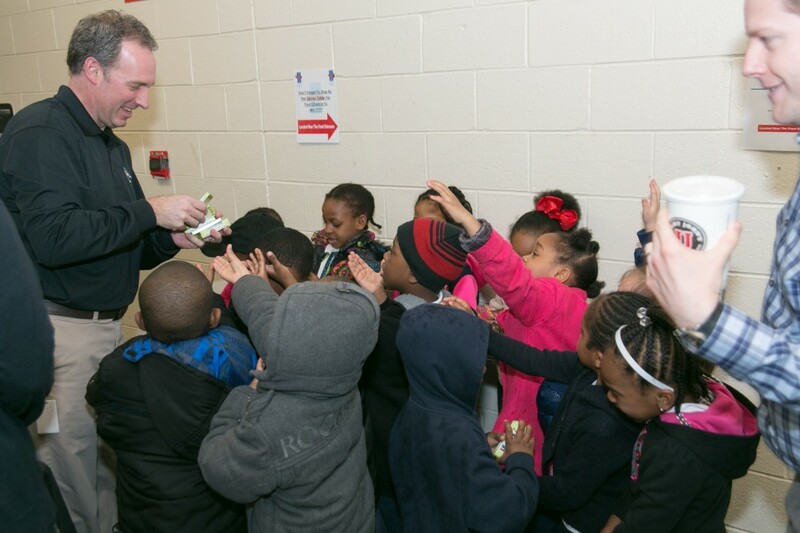 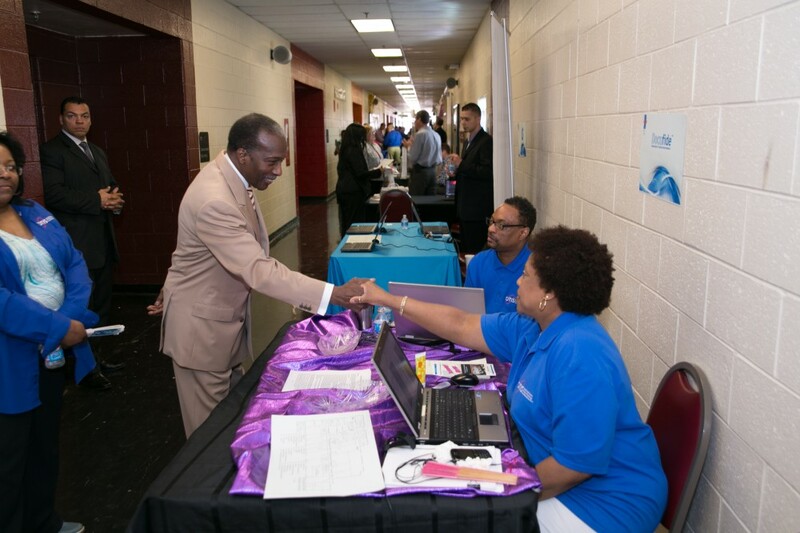 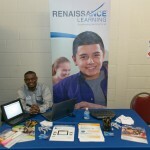 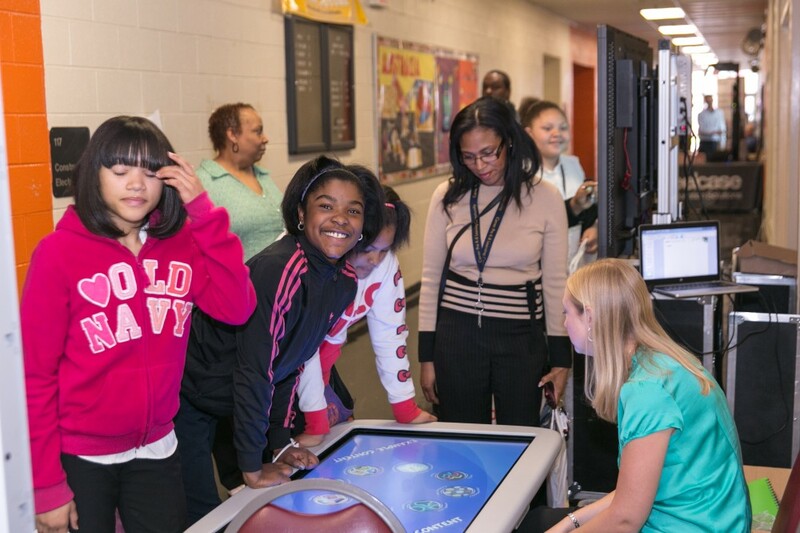 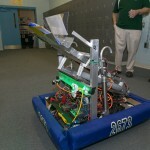 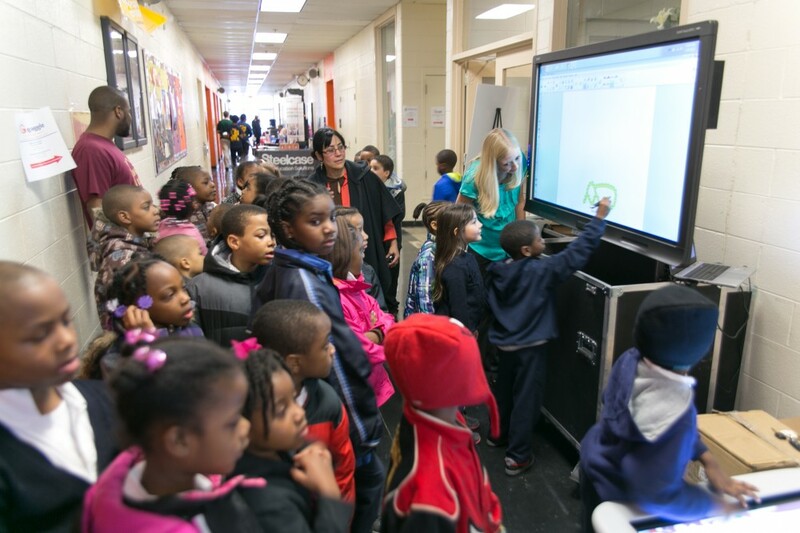 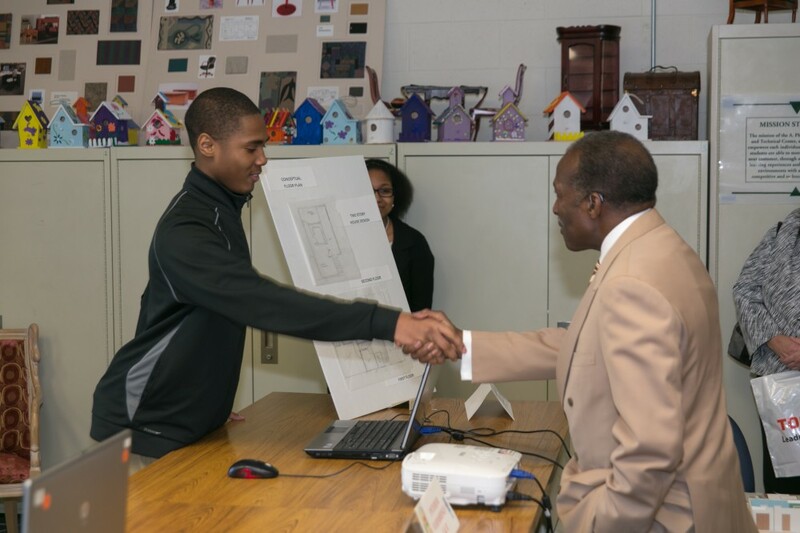 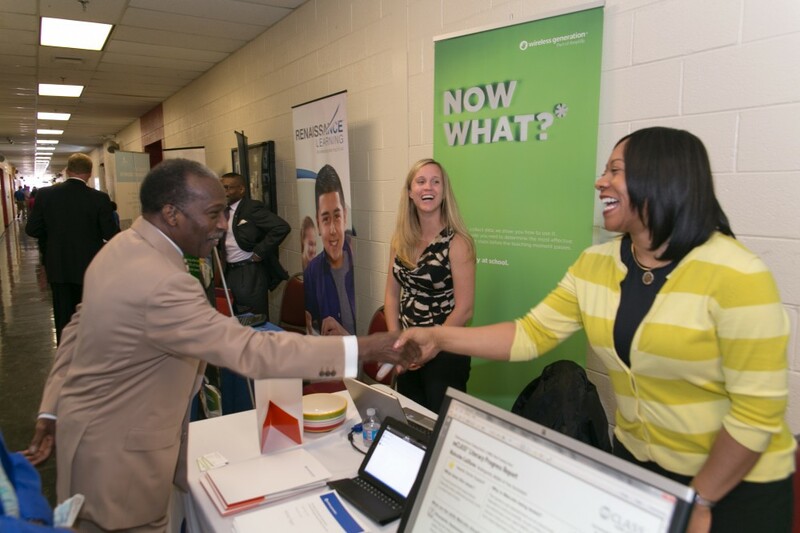 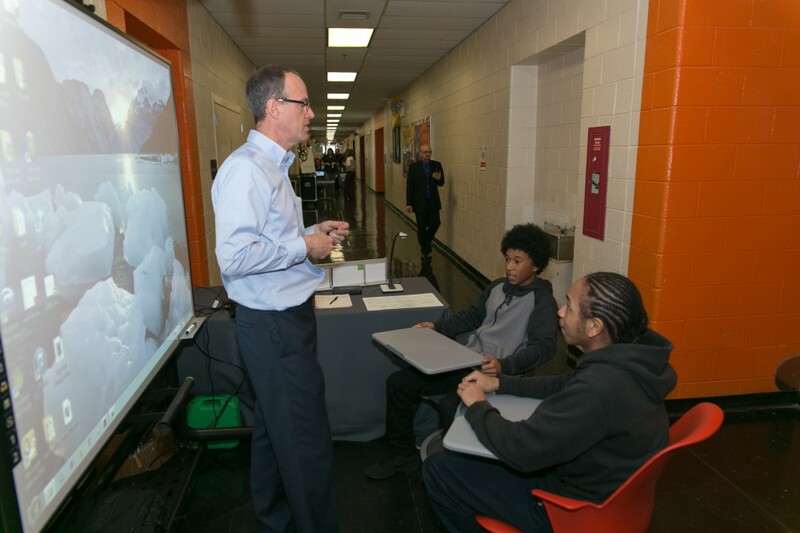 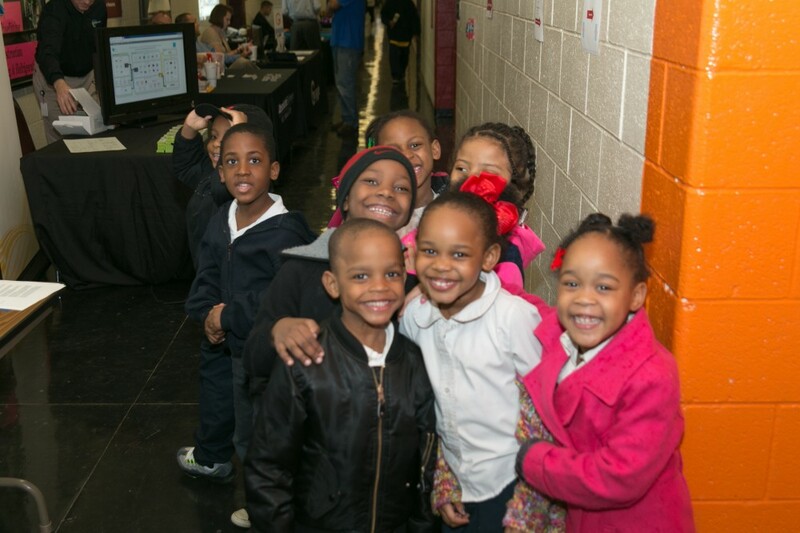 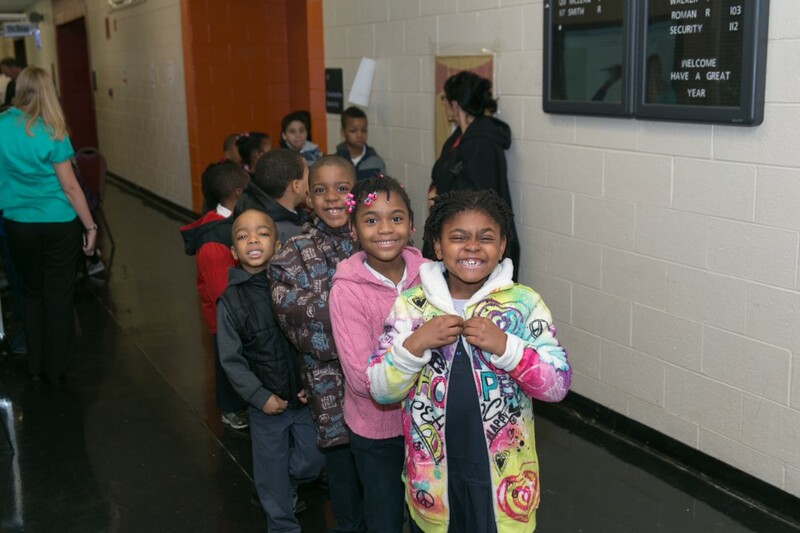 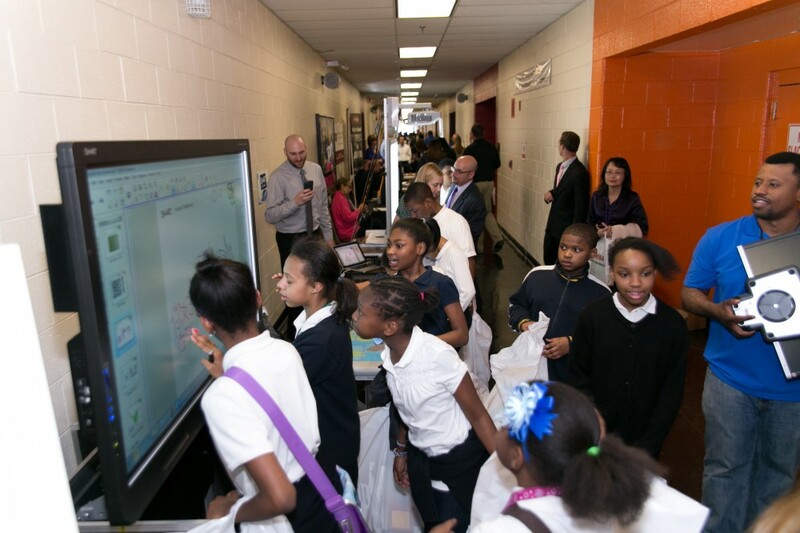 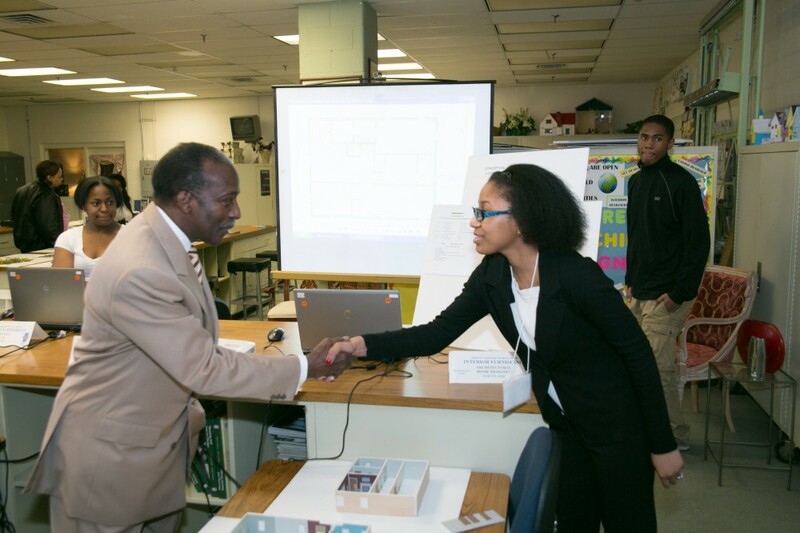 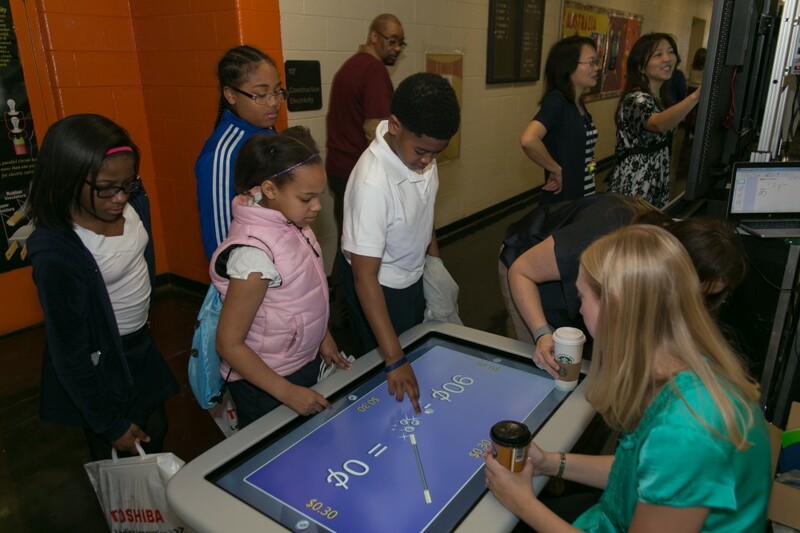 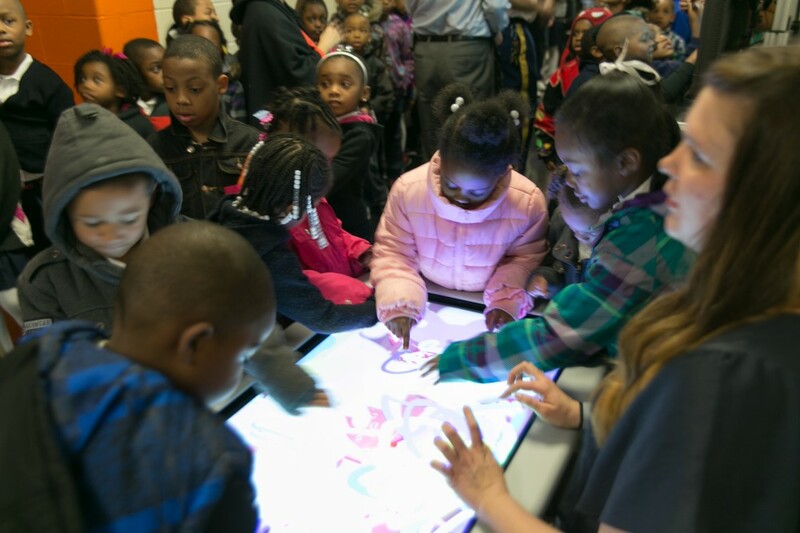 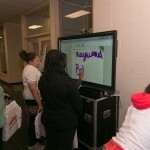 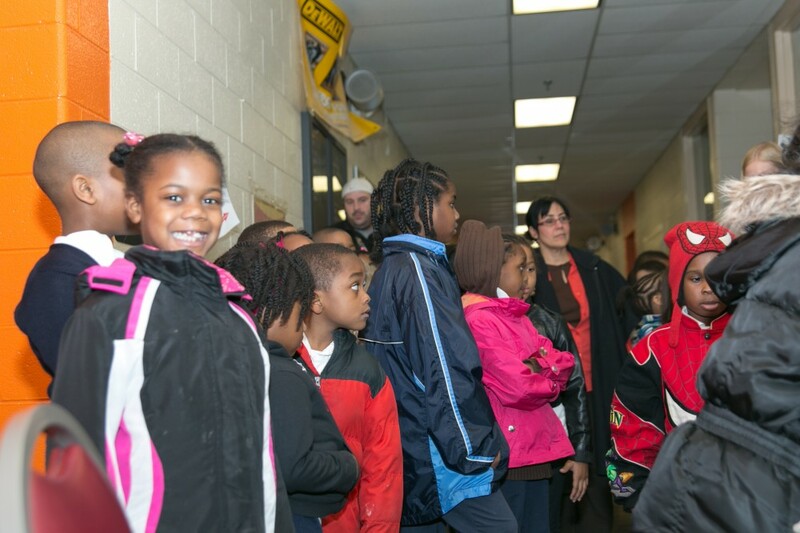 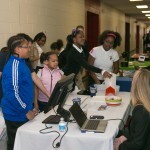 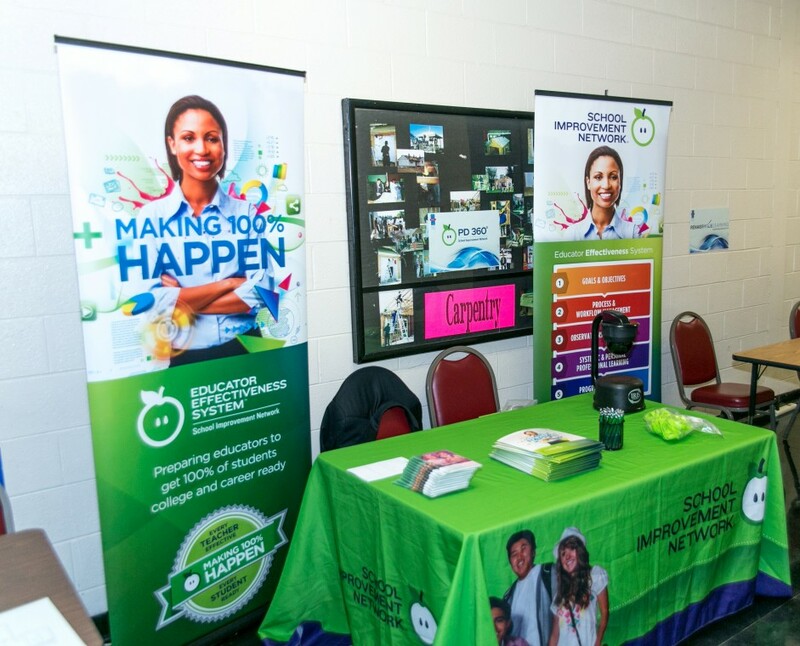 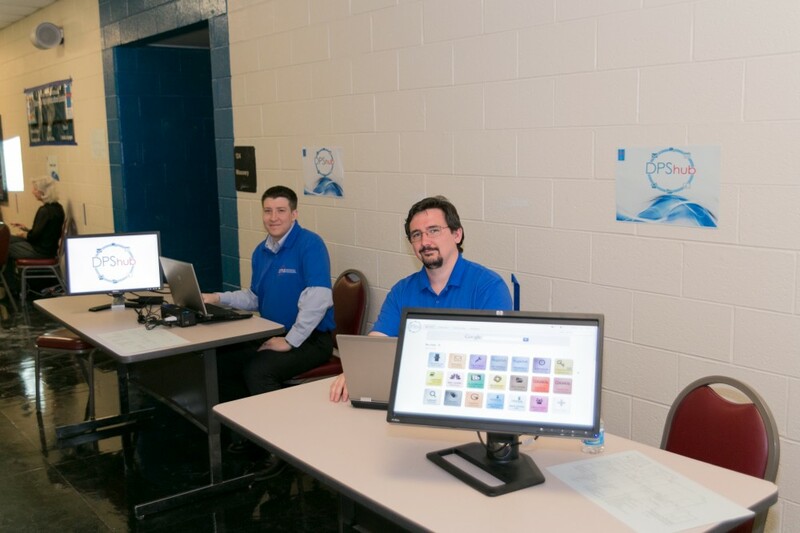 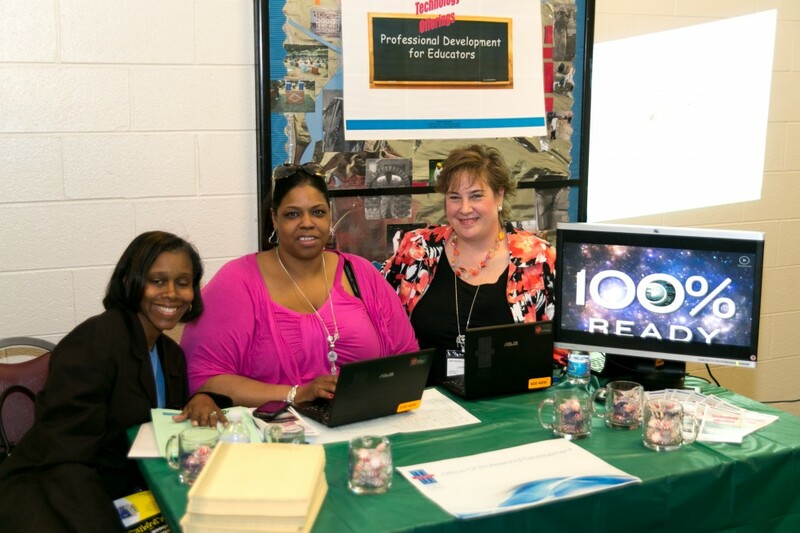 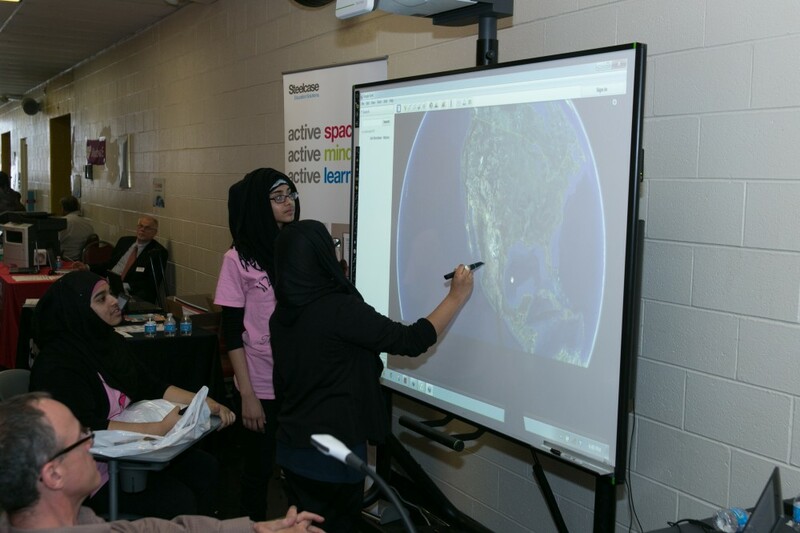 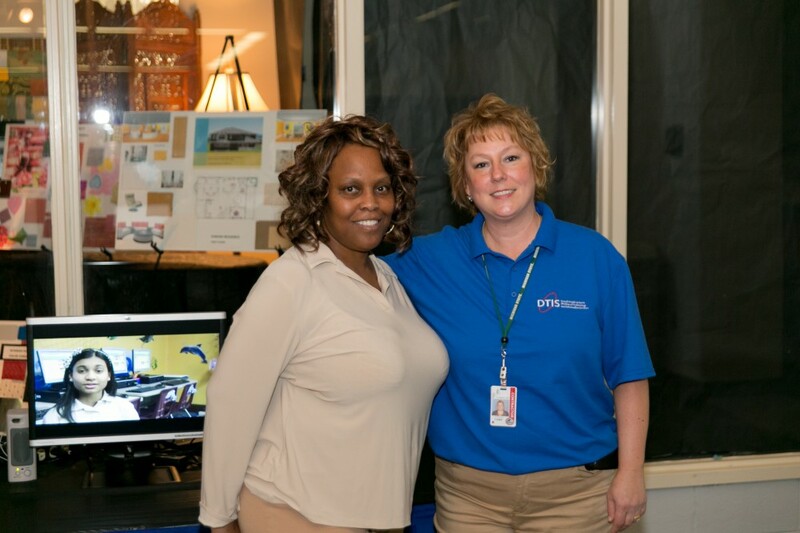 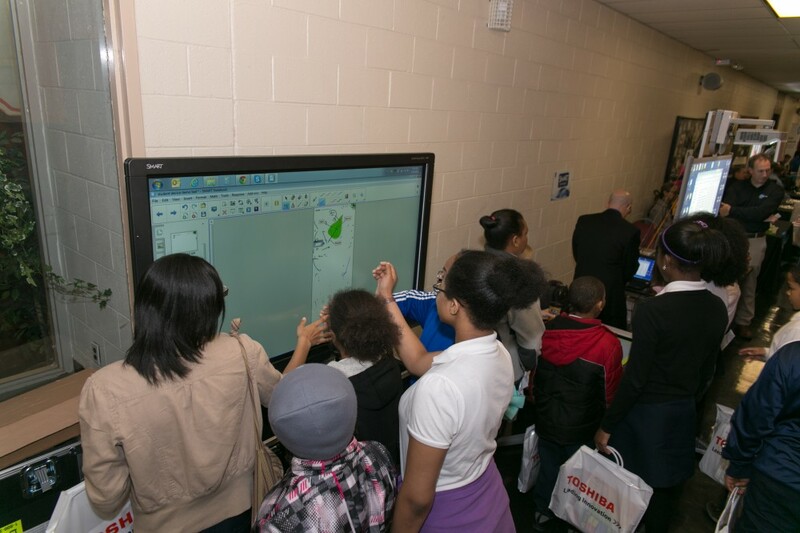 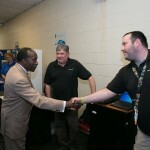 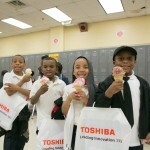 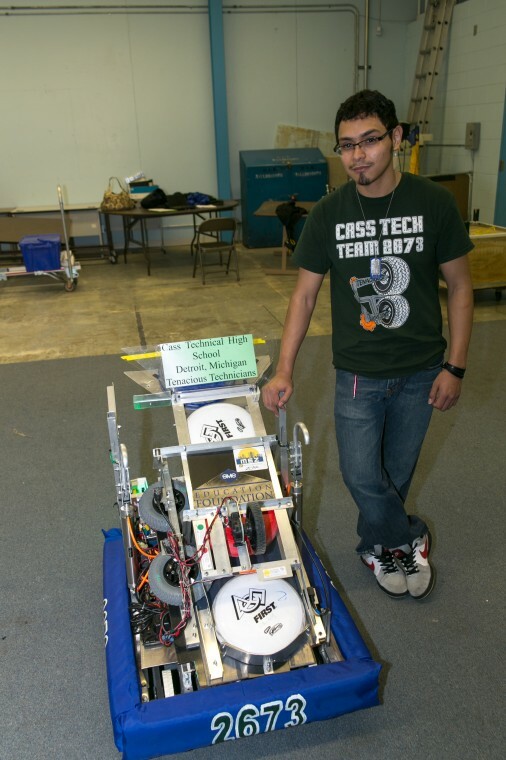 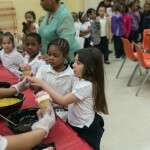 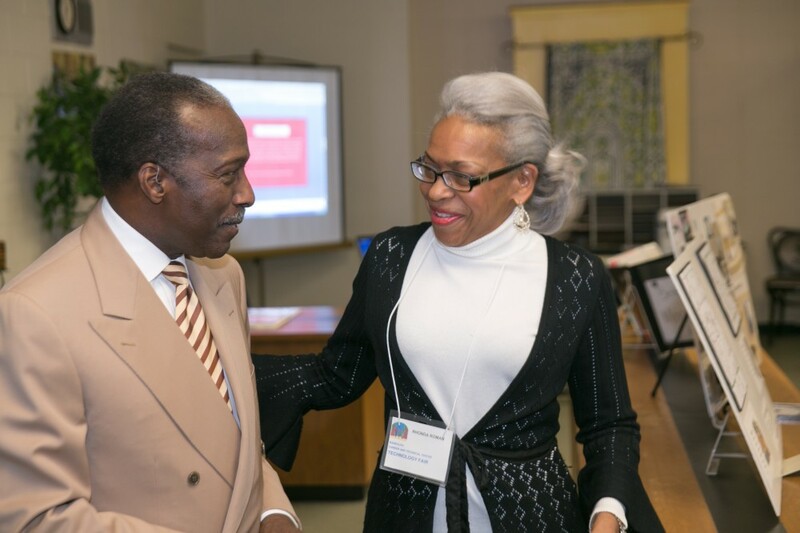 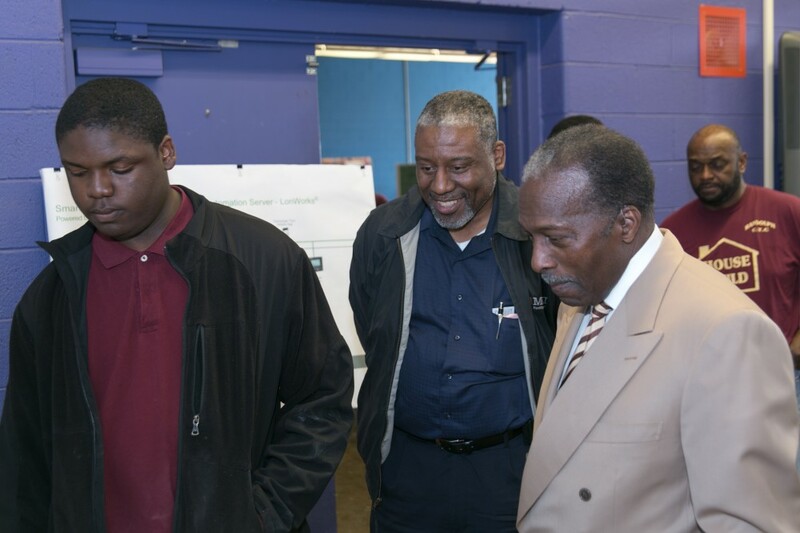 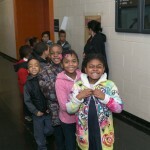 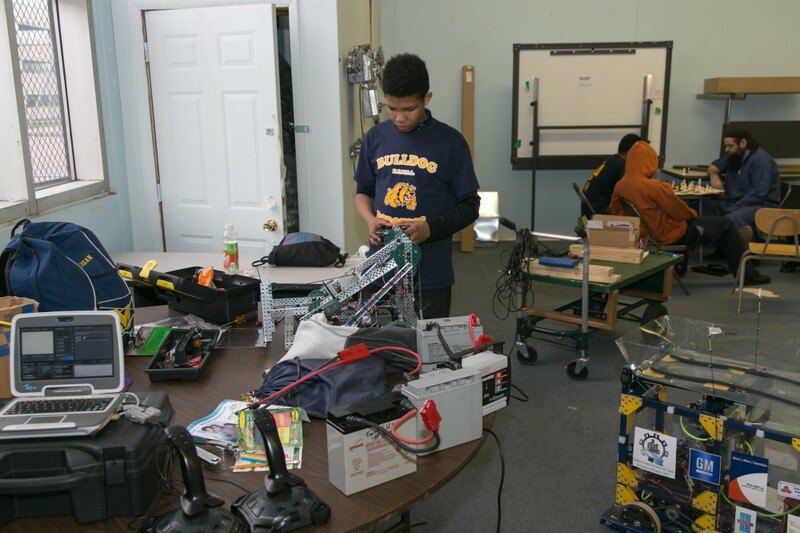 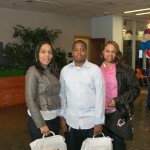 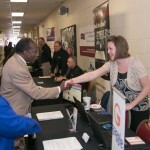 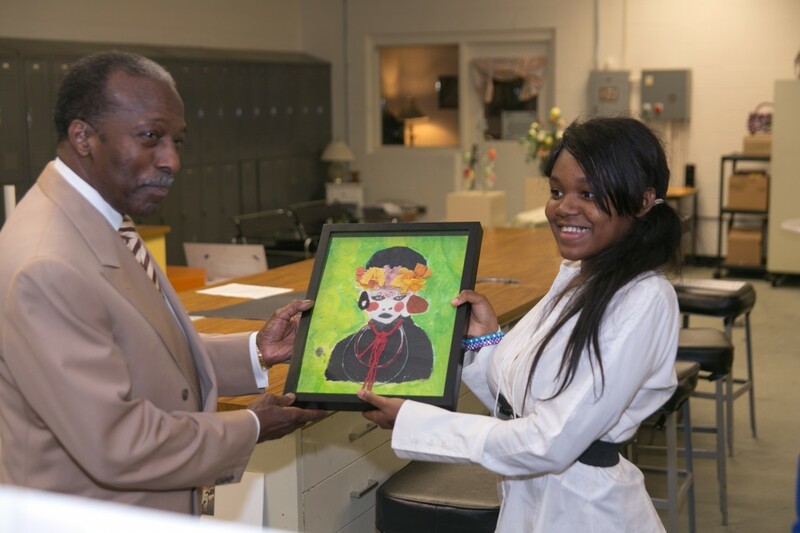 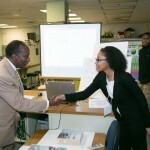 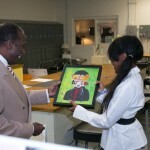 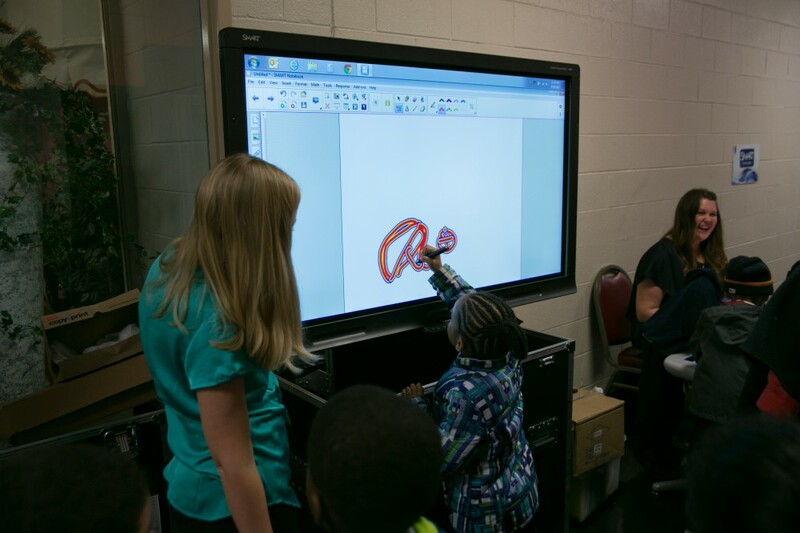 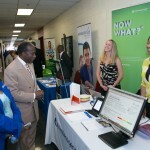 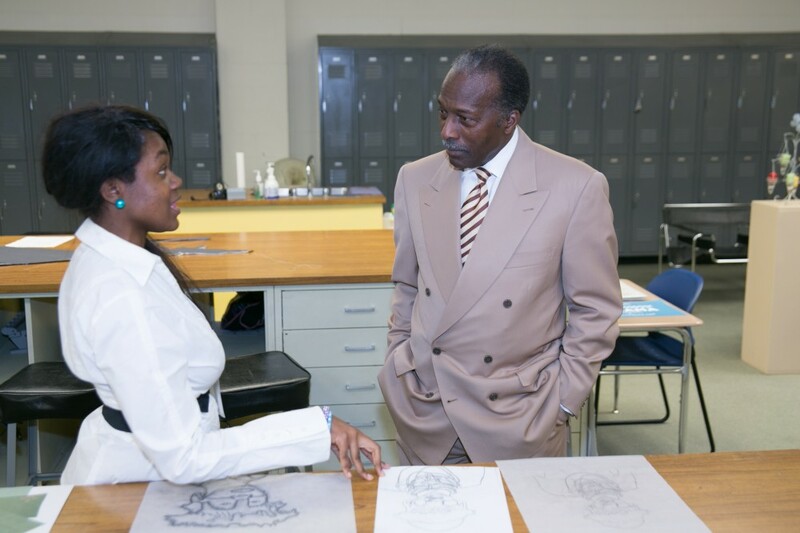 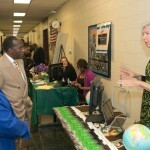 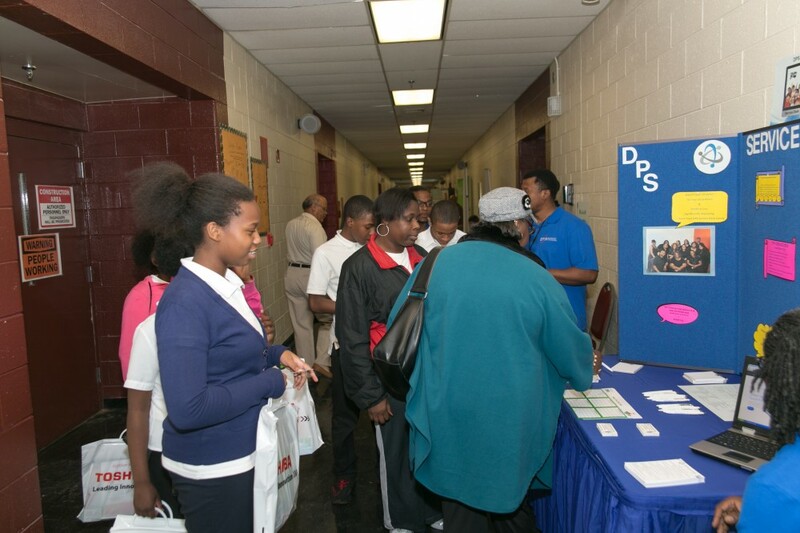 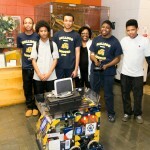 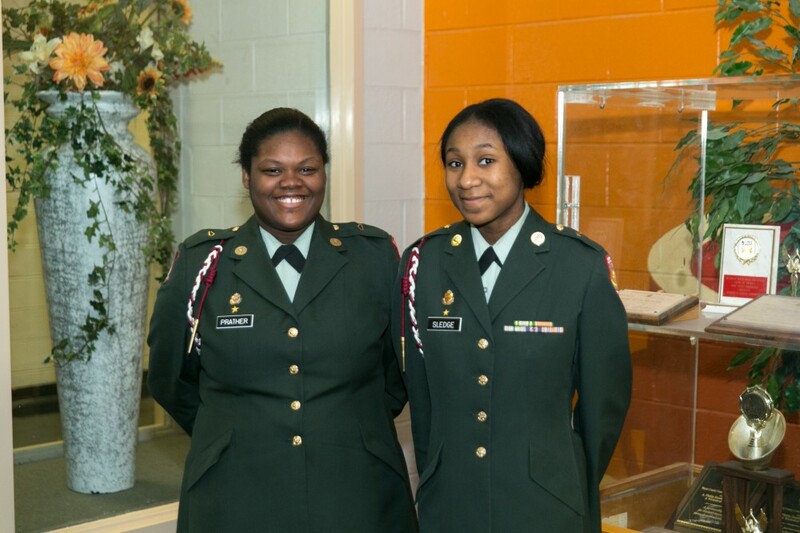 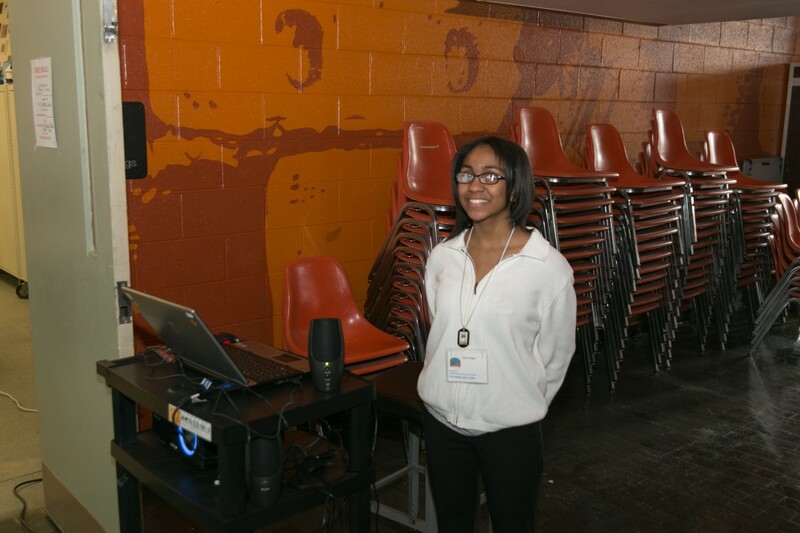 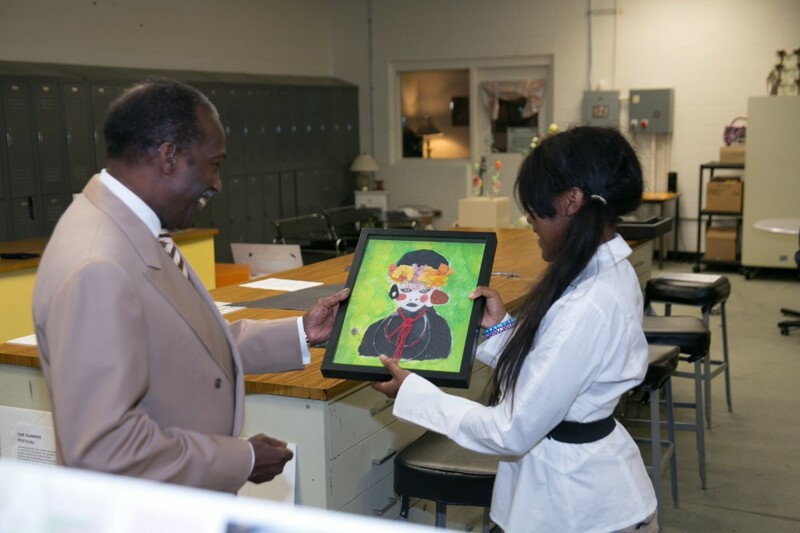 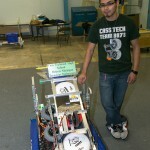 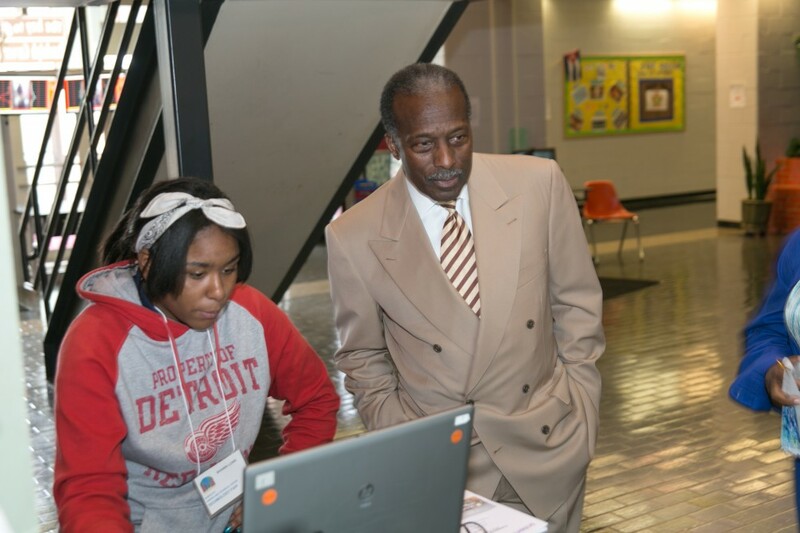 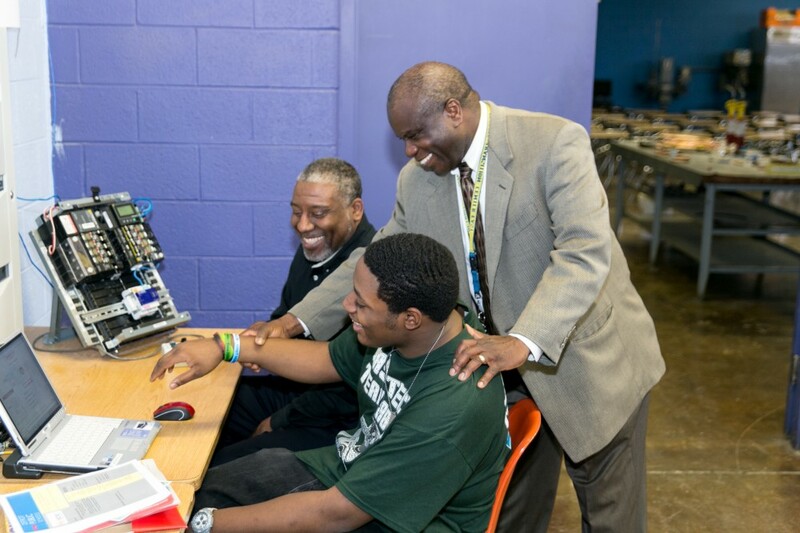 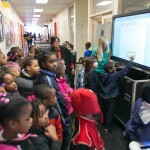 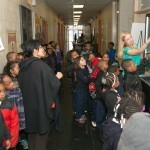 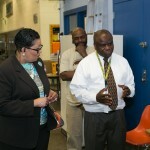 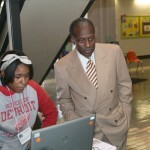 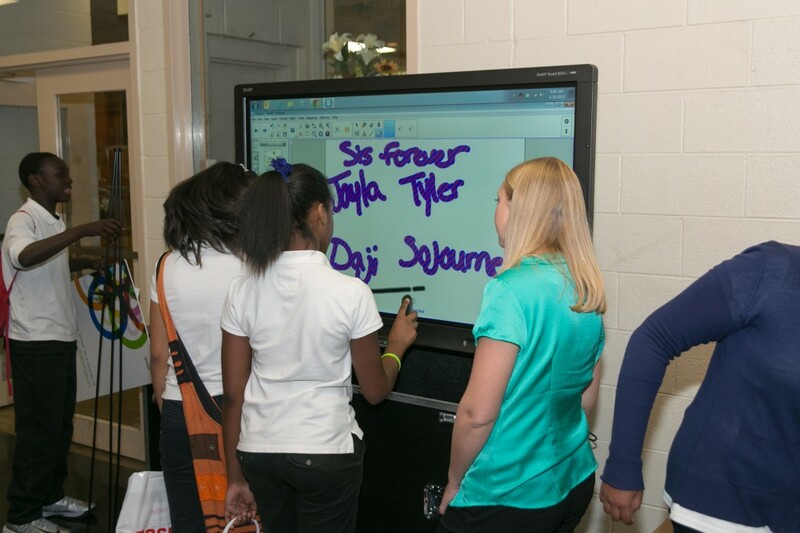 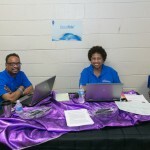 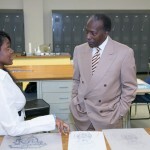 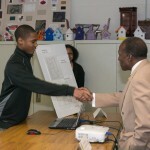 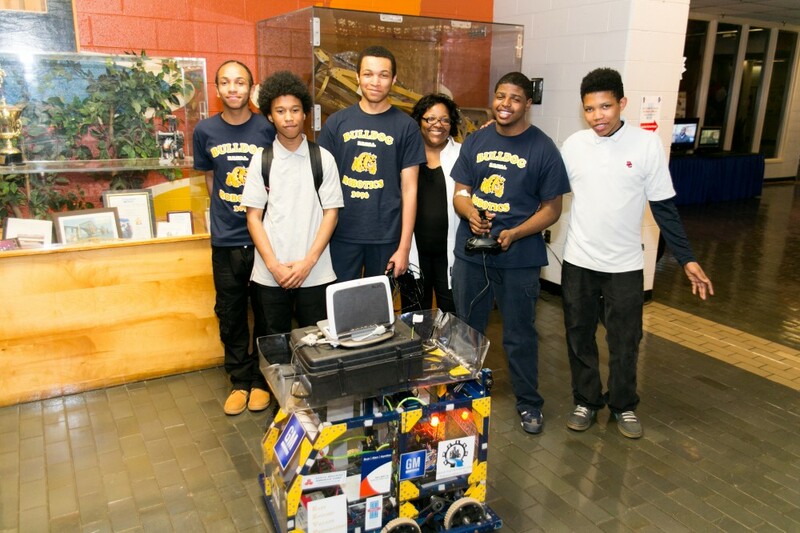 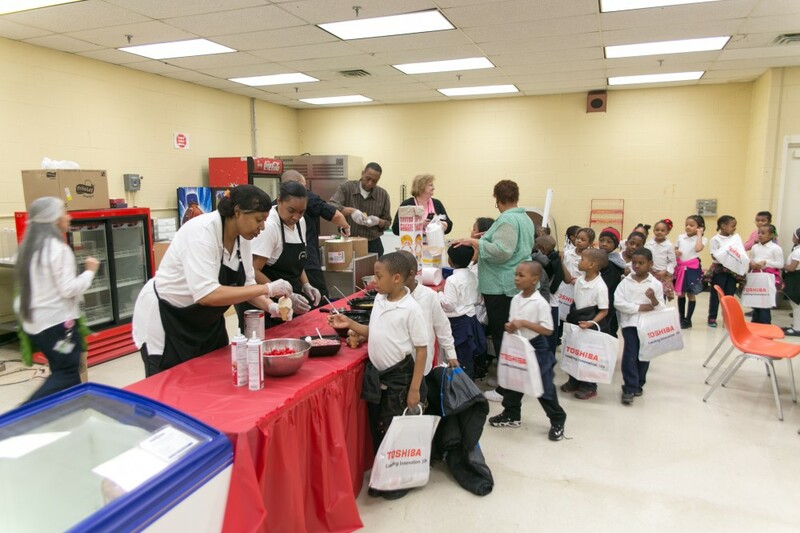 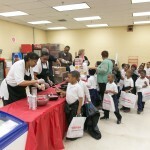 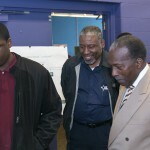 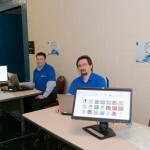 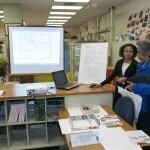 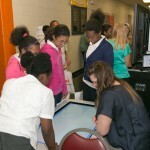 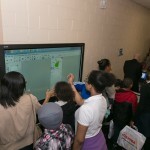 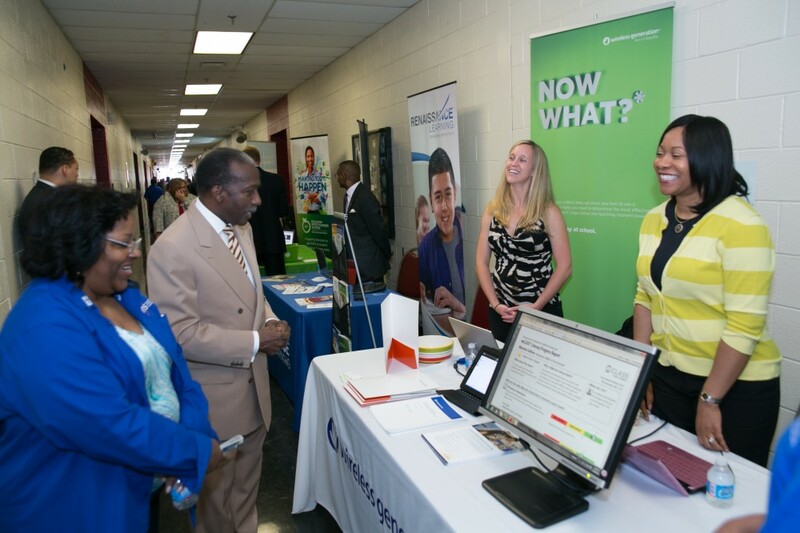 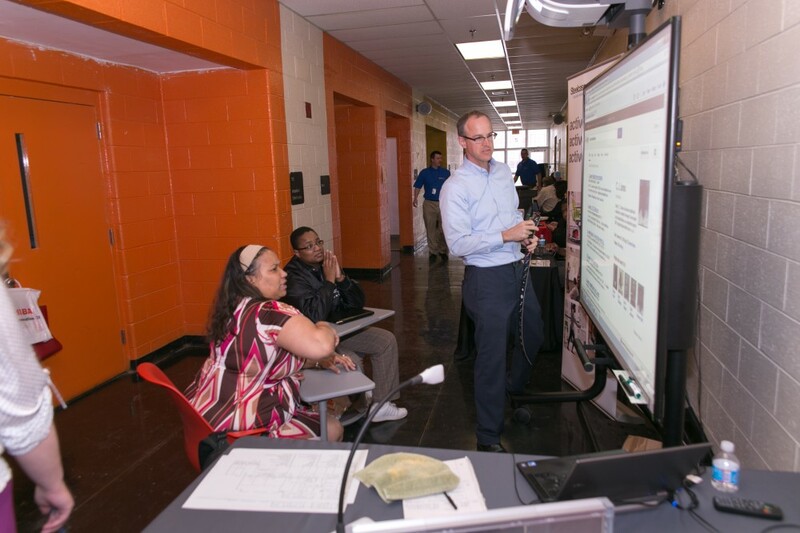 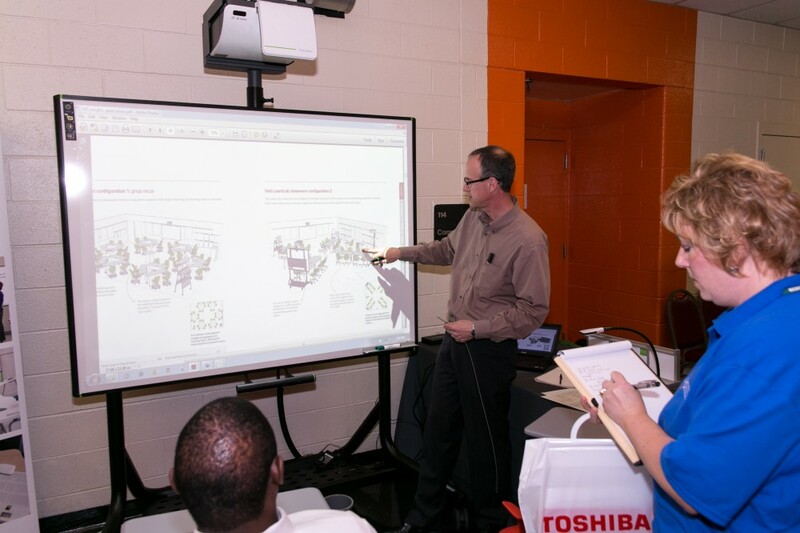 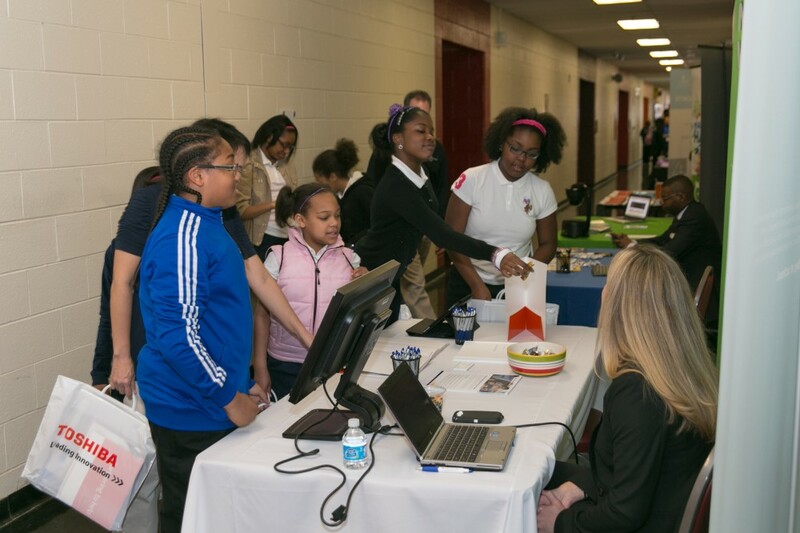 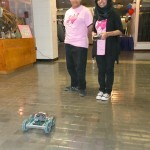 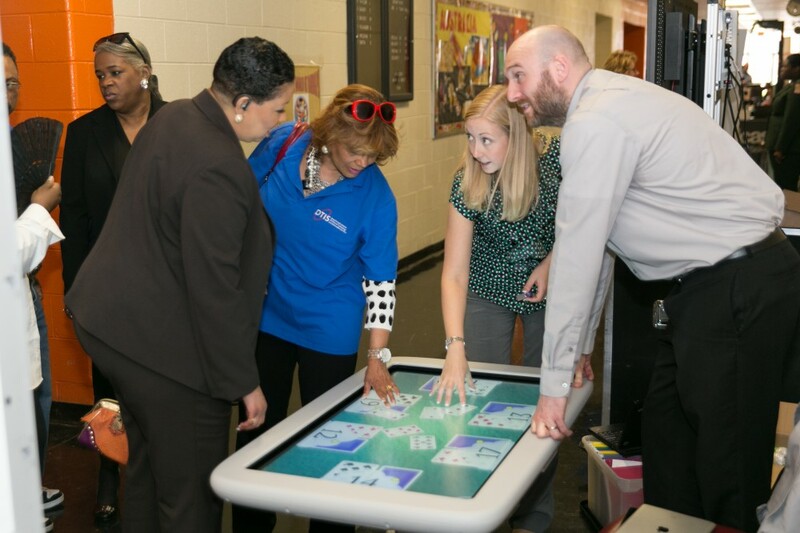 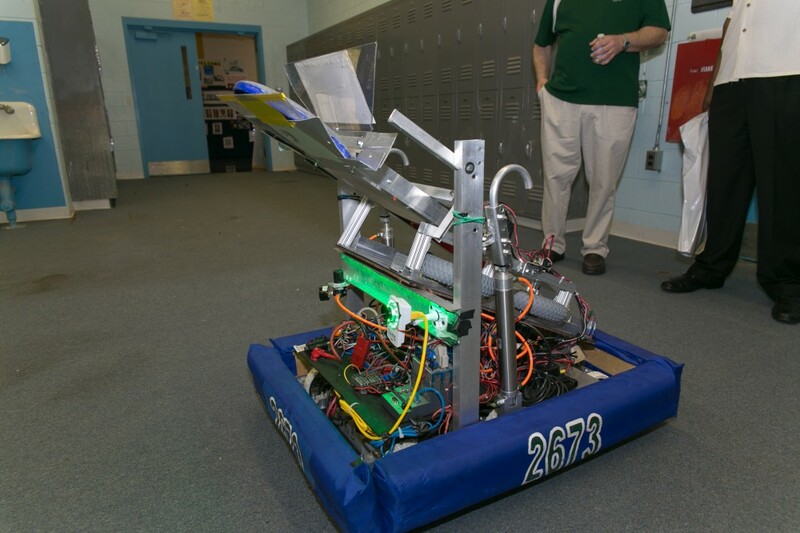 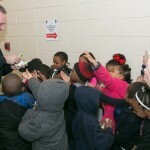 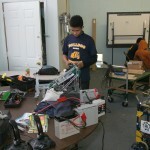 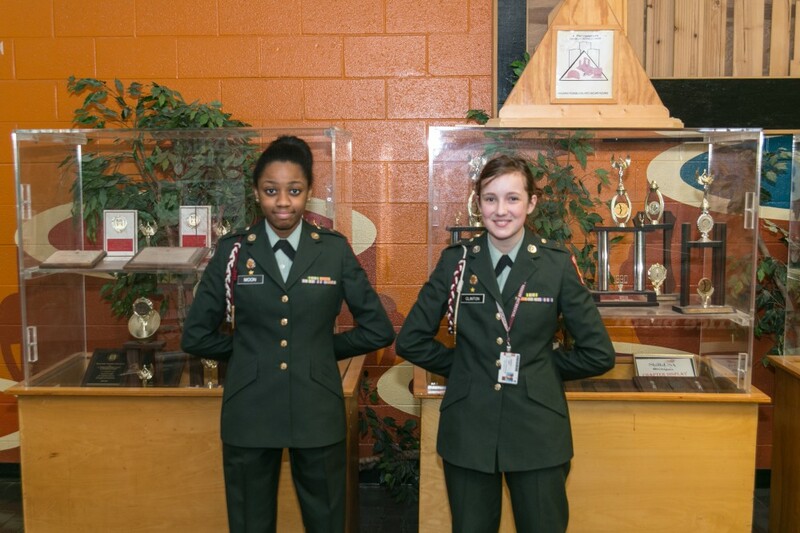 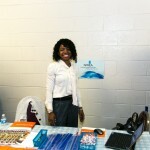 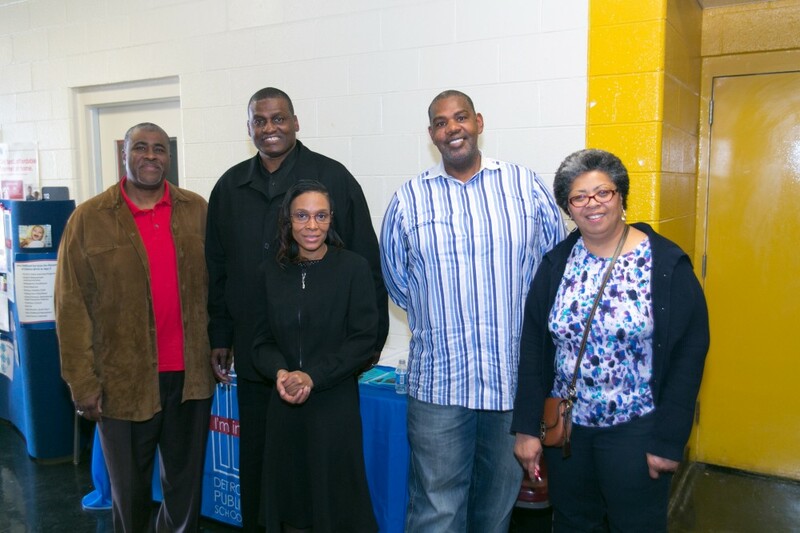 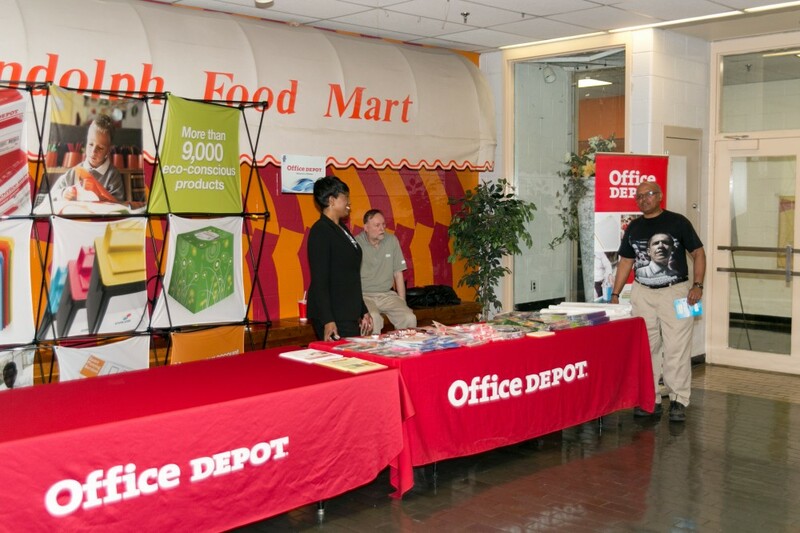 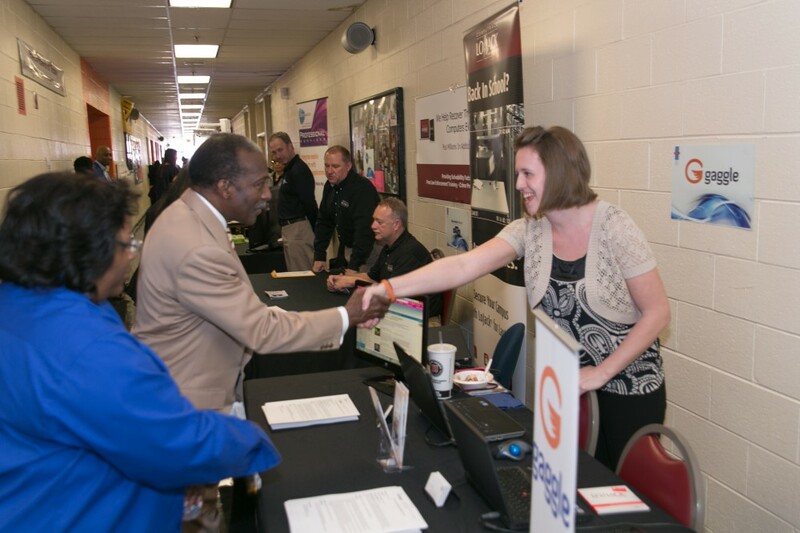 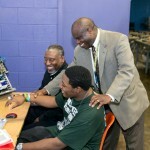 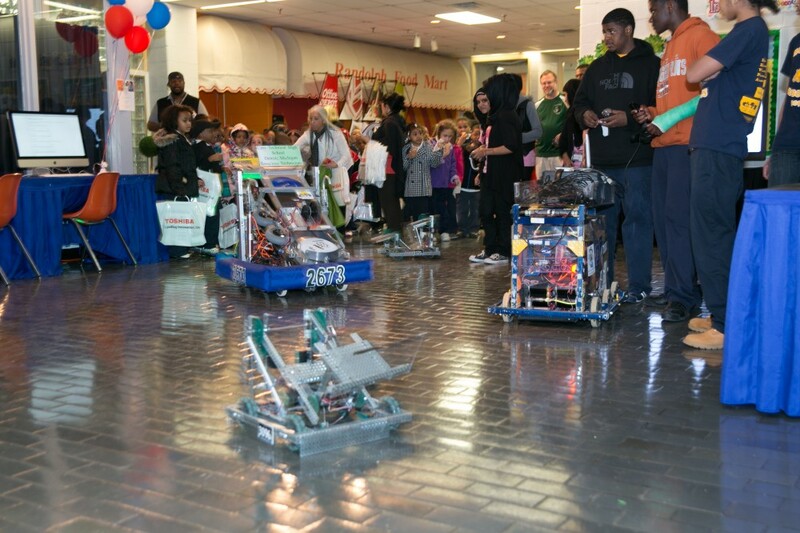 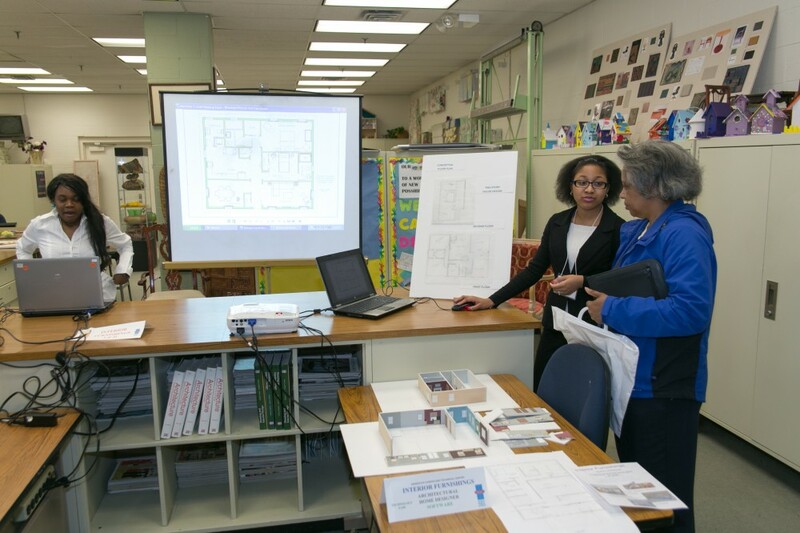 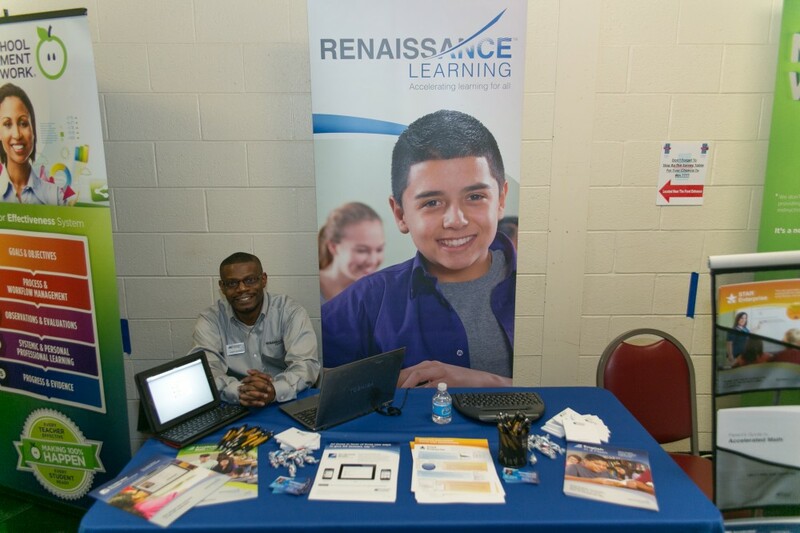 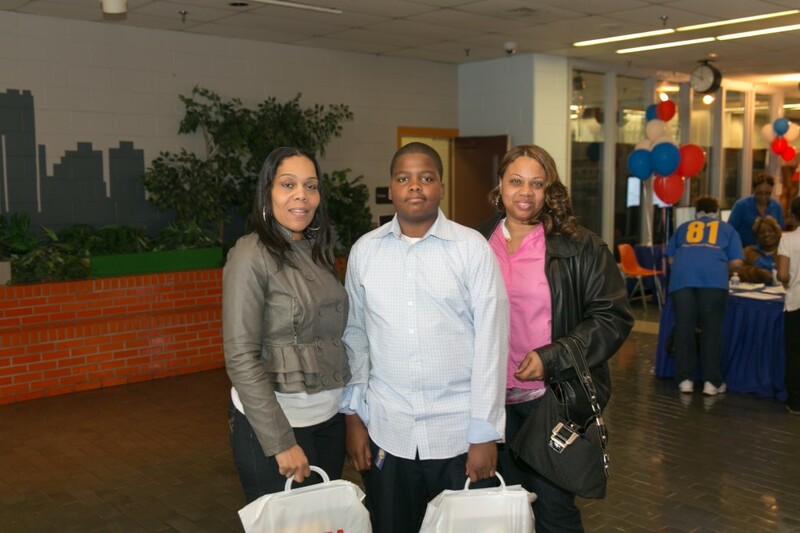 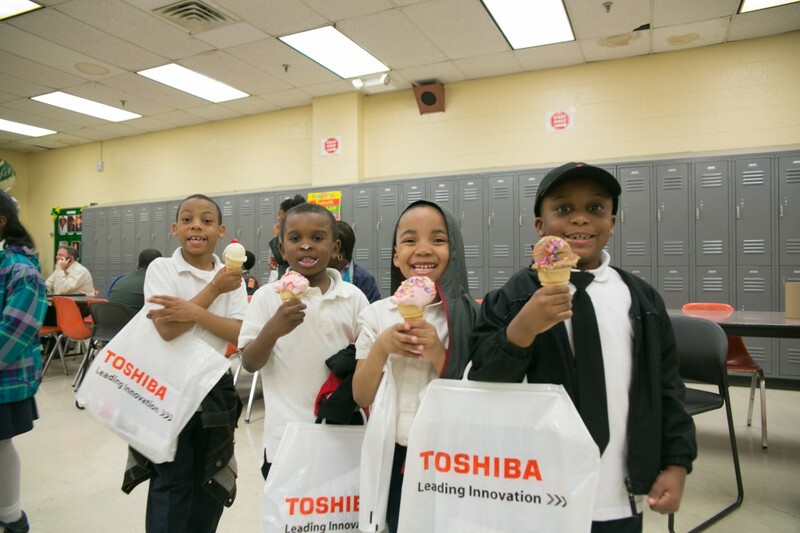 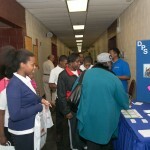 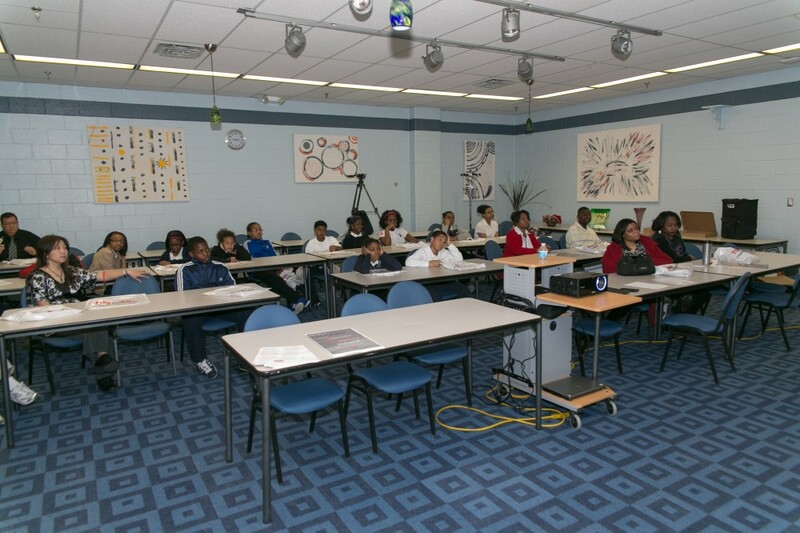 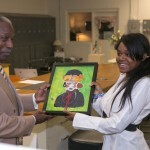 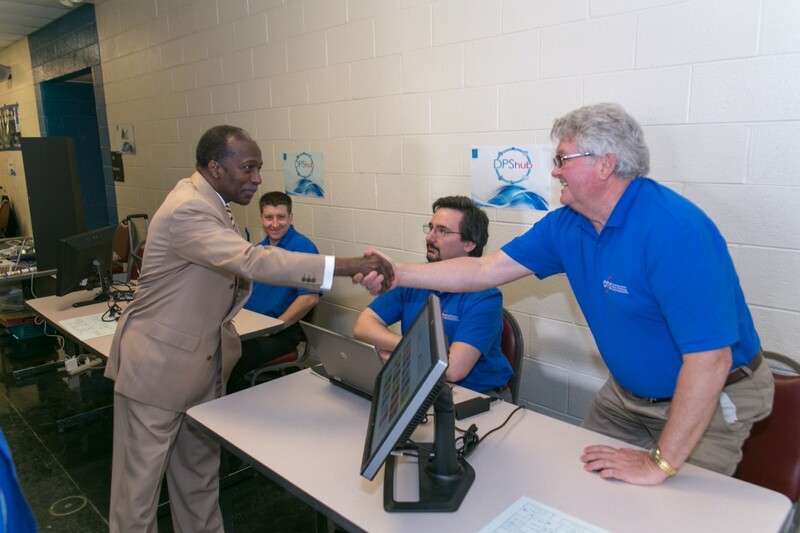 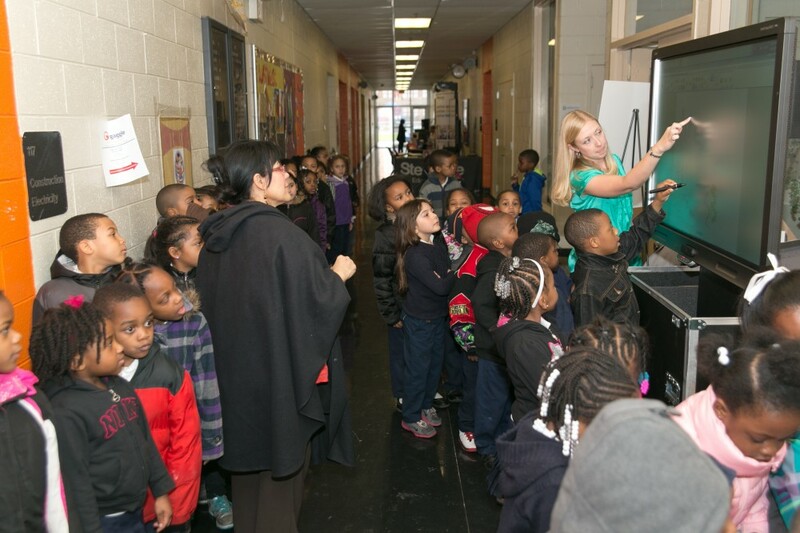 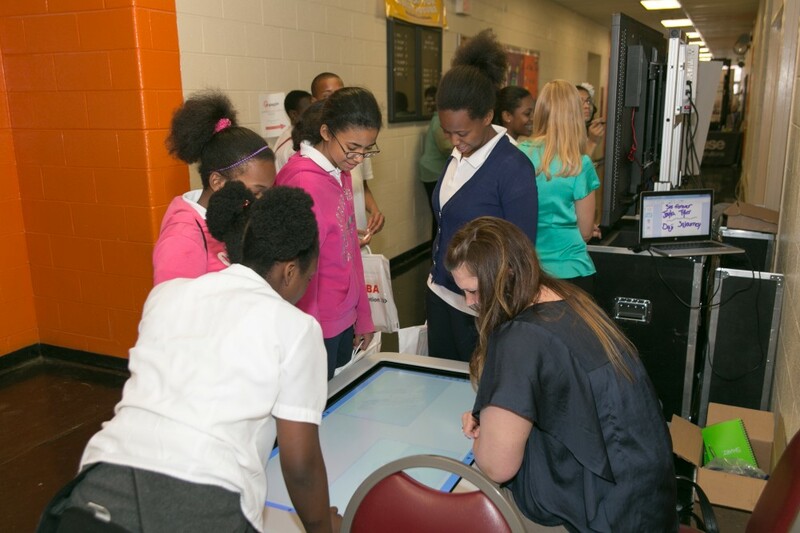 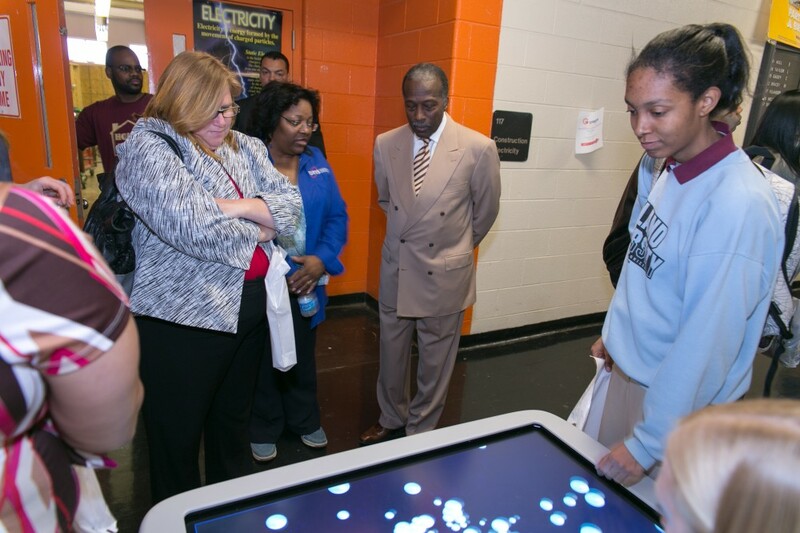 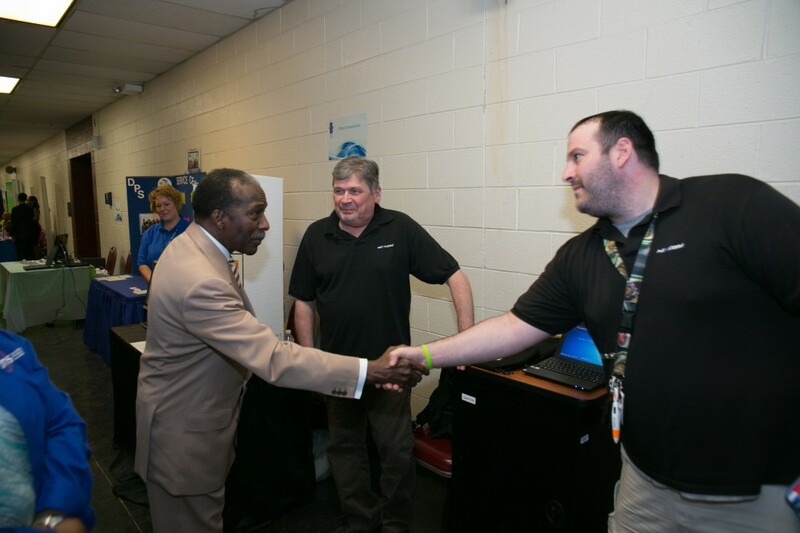 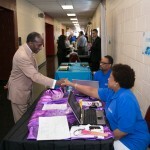 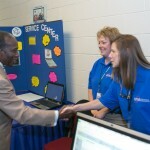 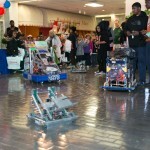 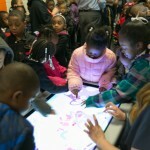 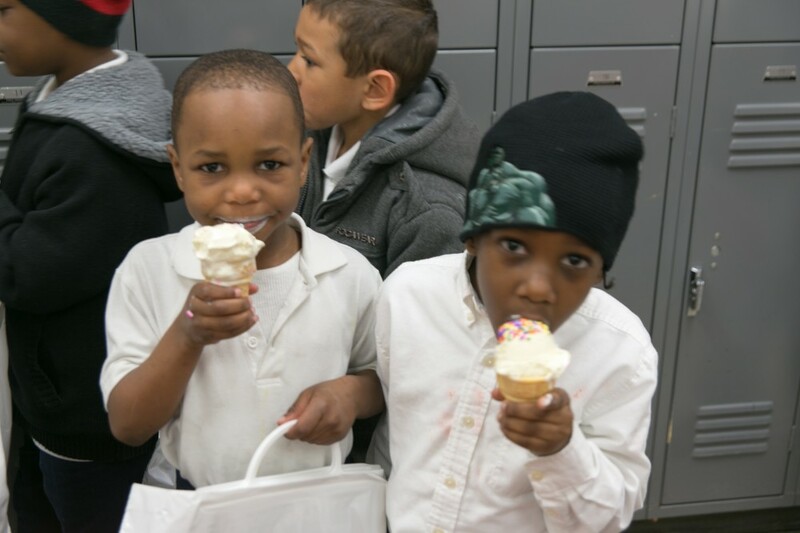 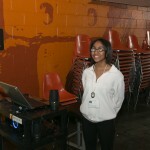 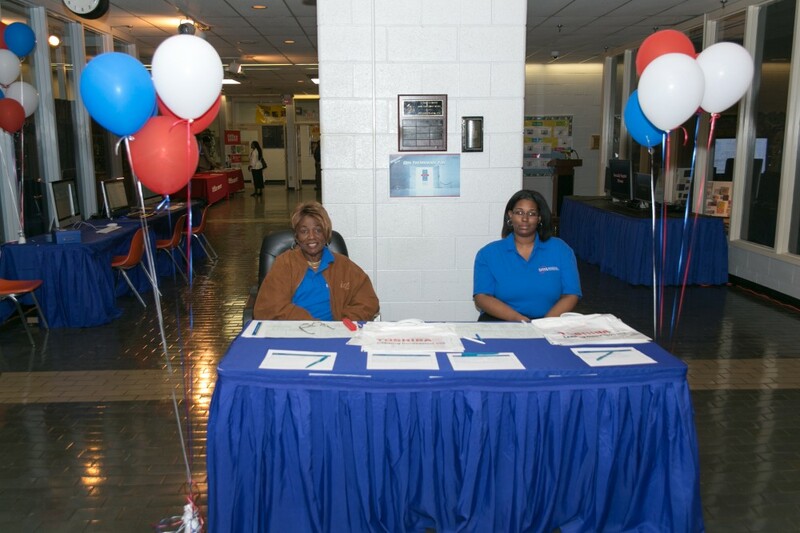 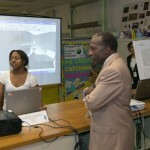 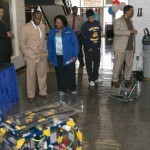 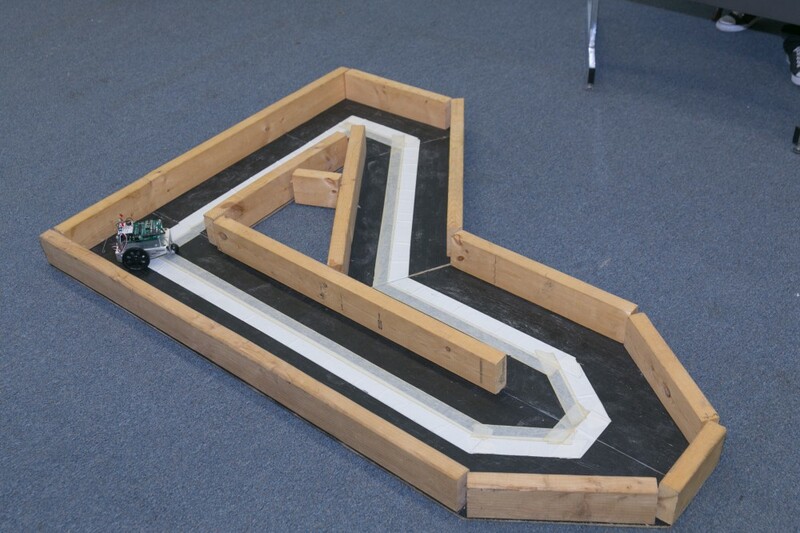 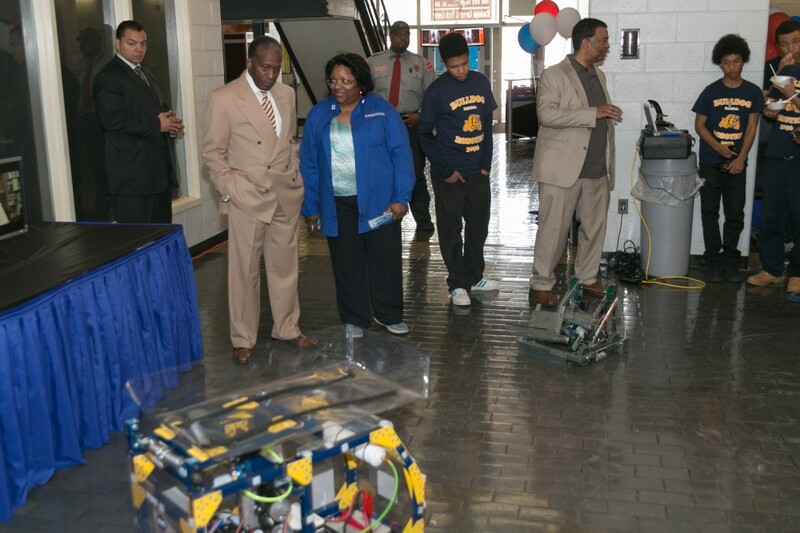 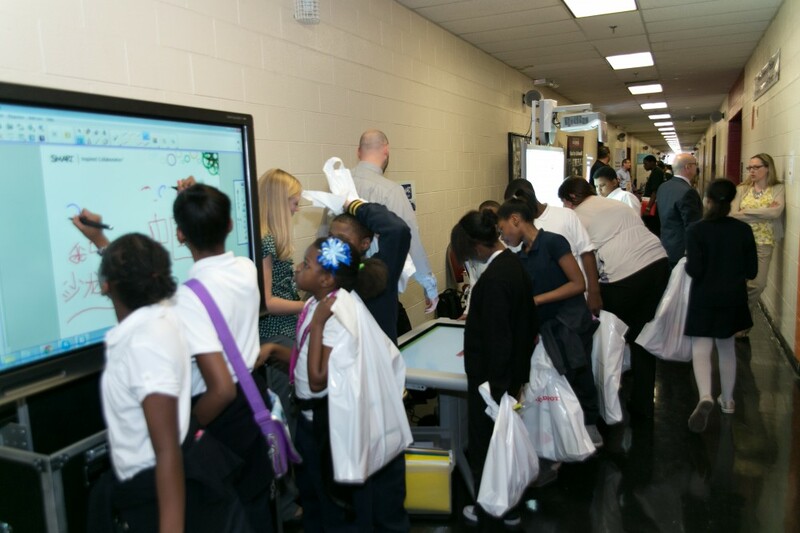 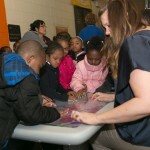 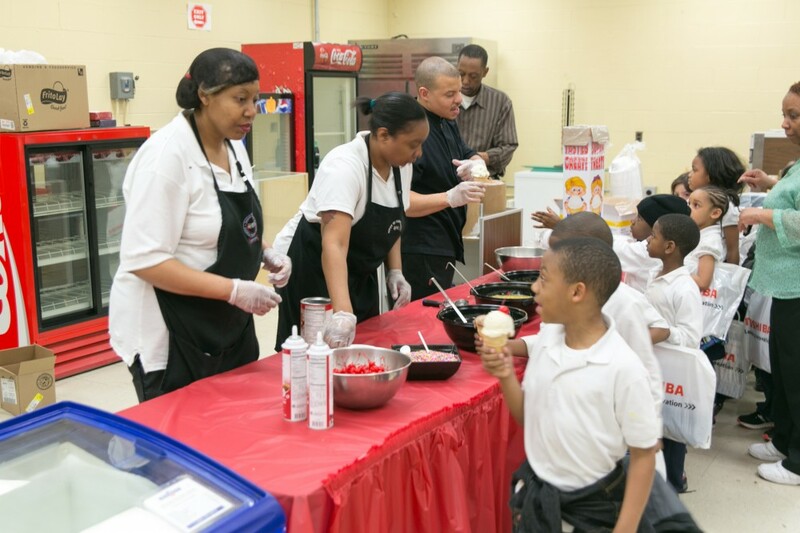 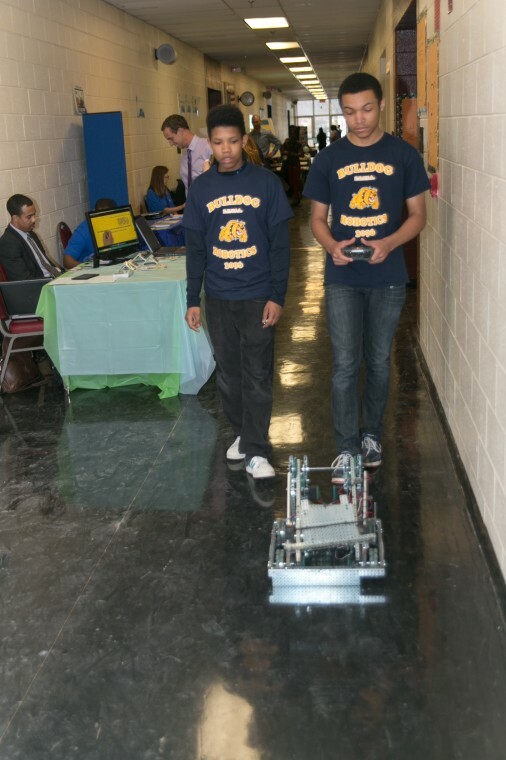 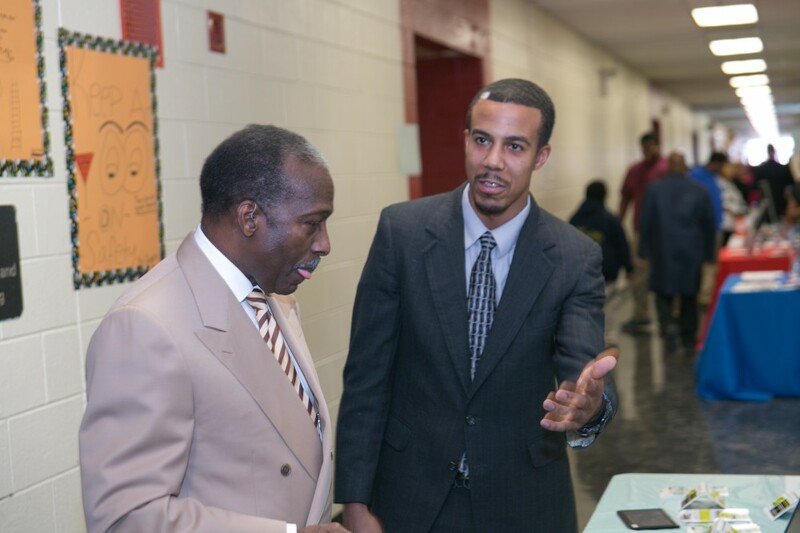 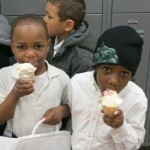 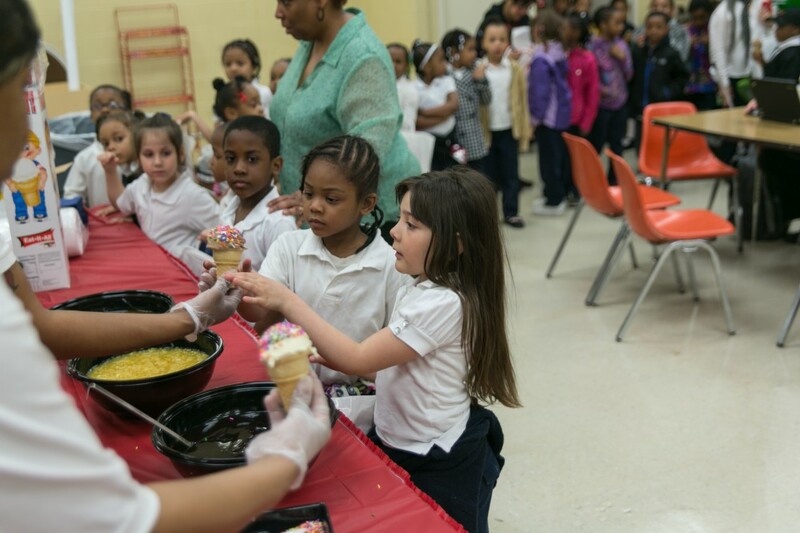 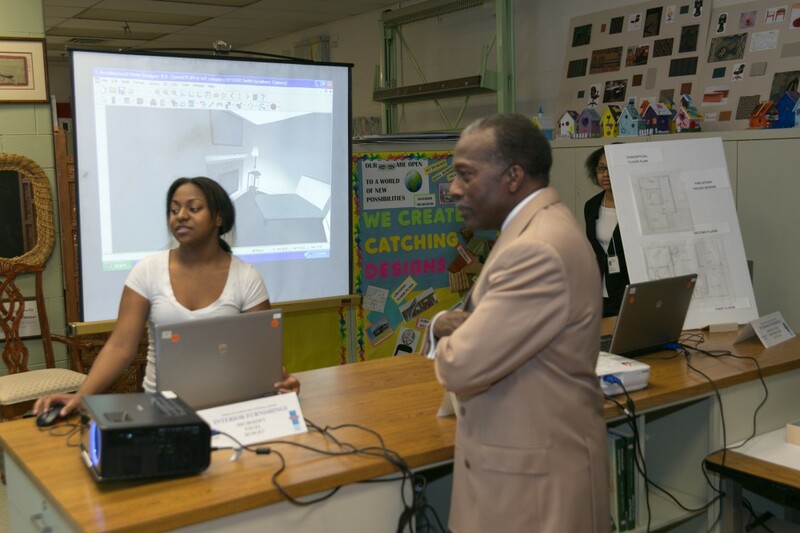 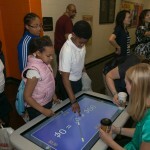 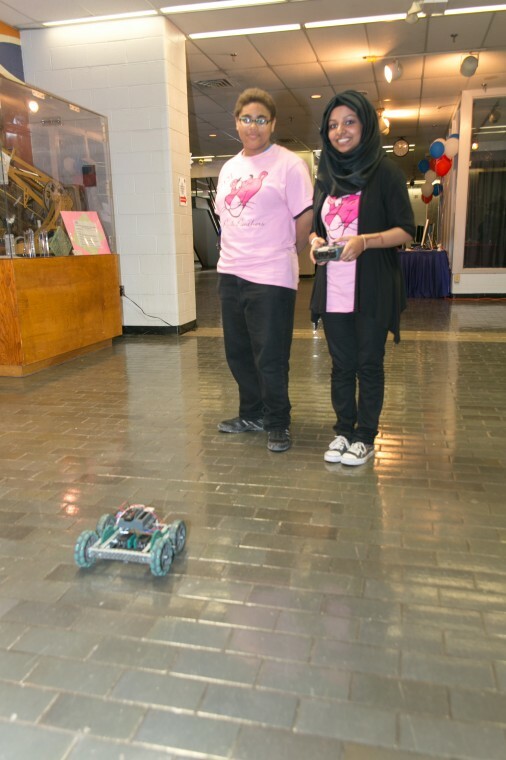 Detroit Public Schools hosted its first two-day Technology Fair at Randolph Career & Technical Center on April 29 from 2:00-6:00 p.m. and April 30 from 9:00 a.m.- 4:30 p.m. to celebrate Spring into Technology Month. 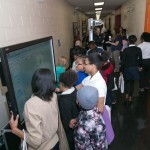 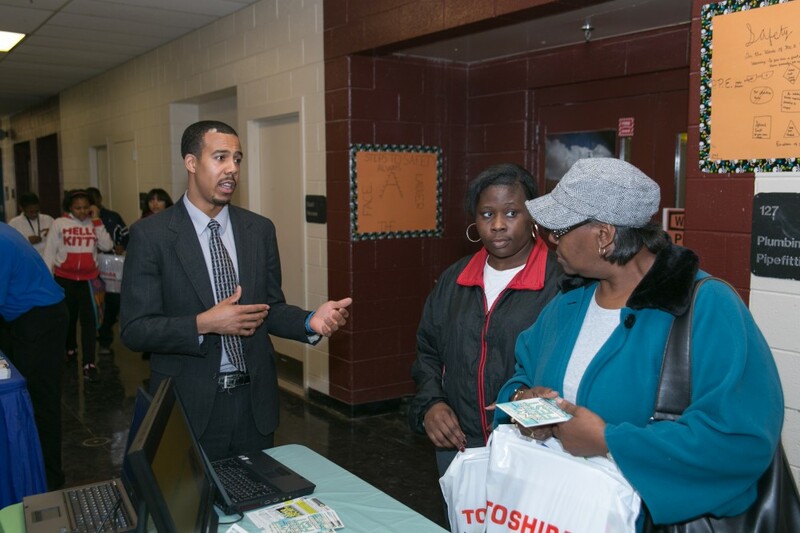 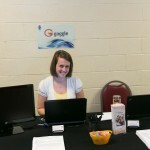 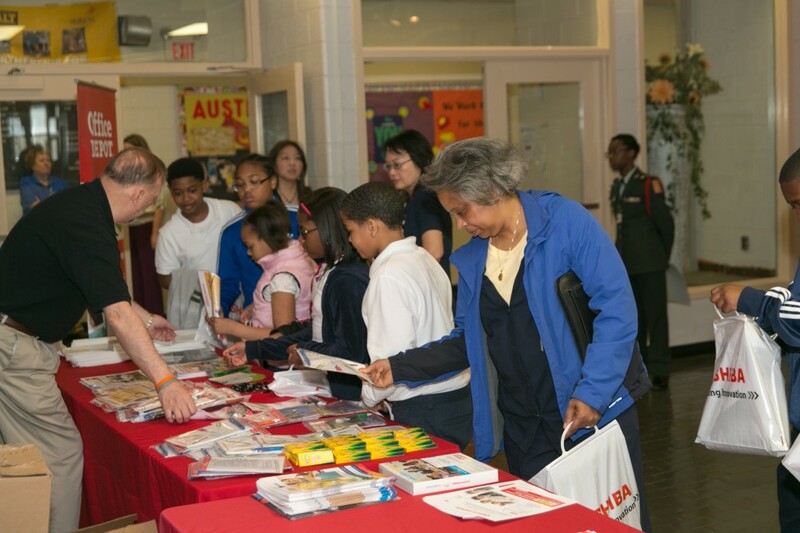 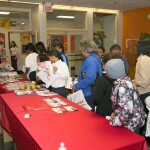 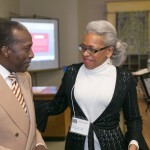 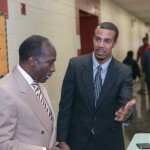 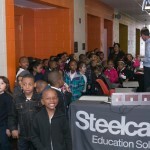 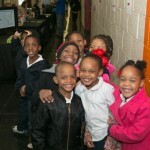 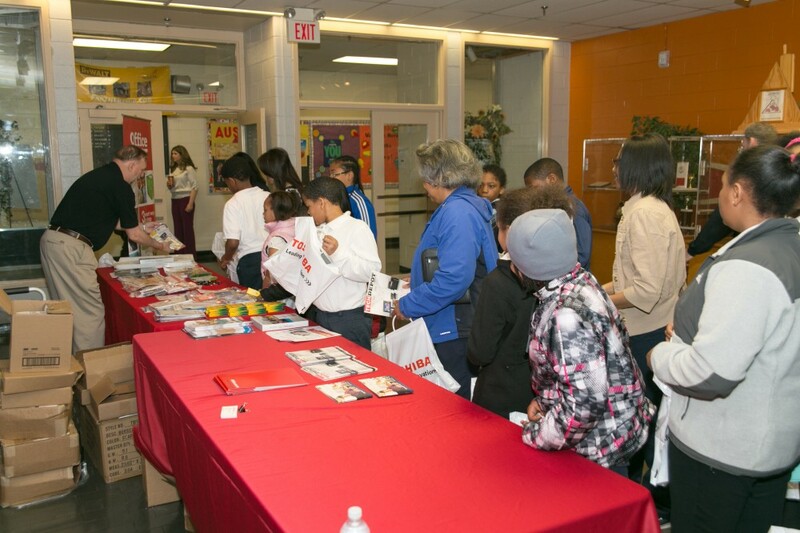 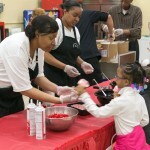 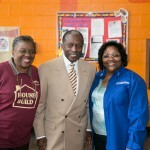 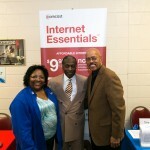 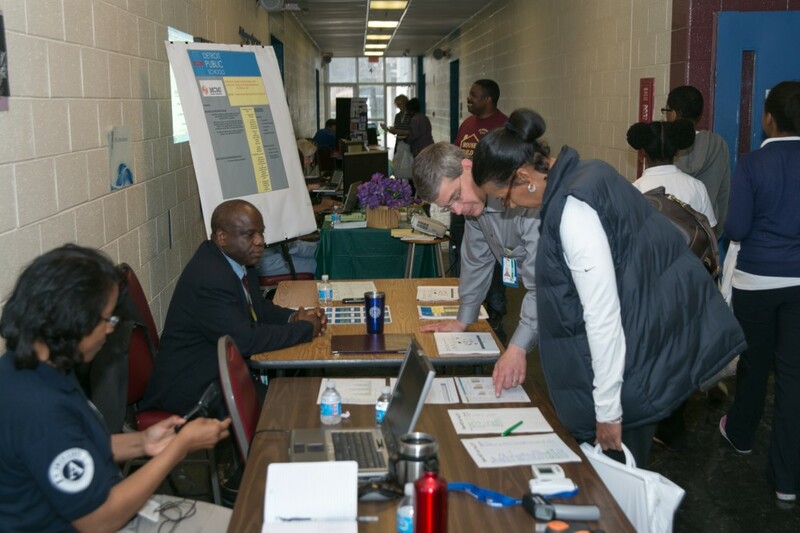 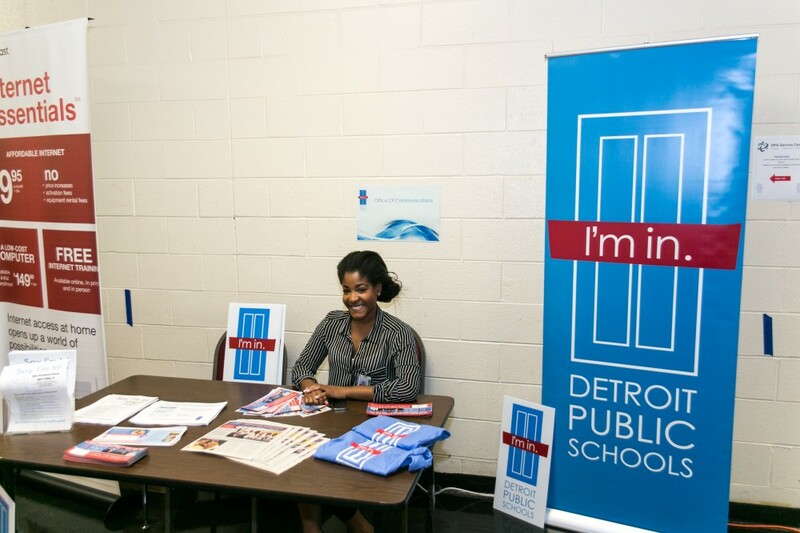 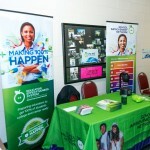 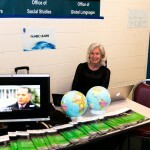 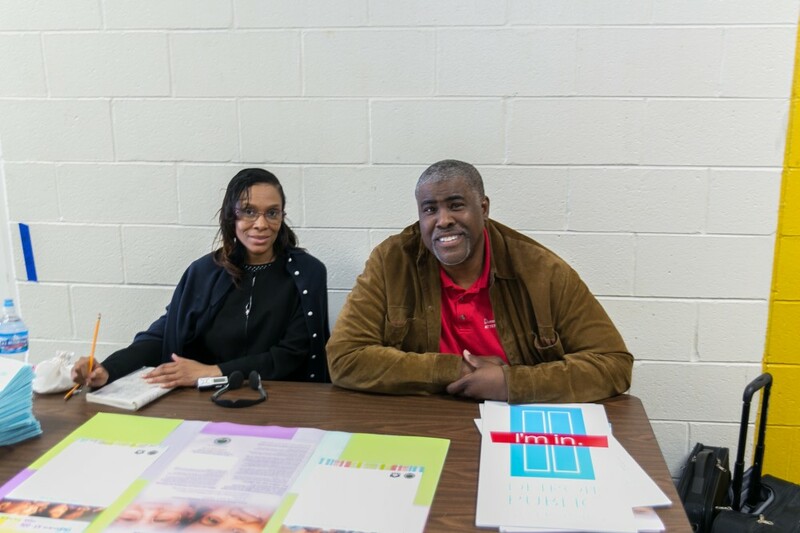 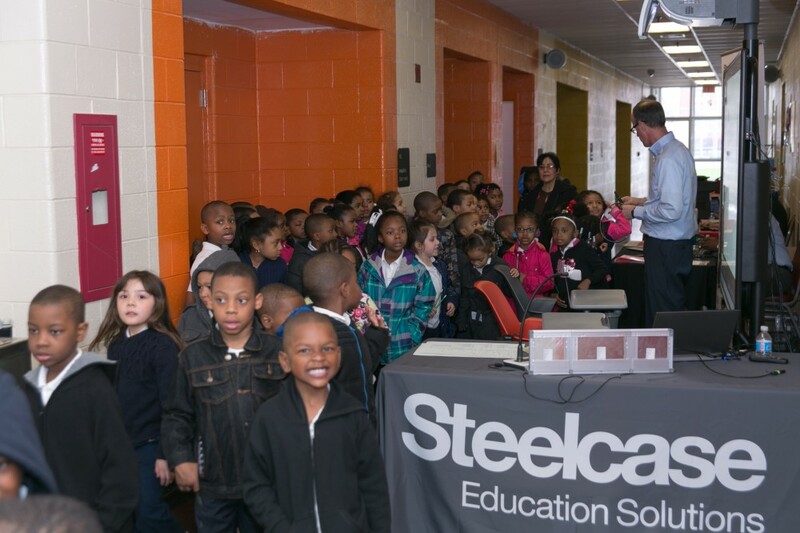 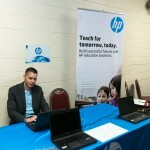 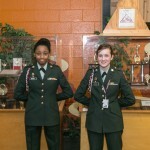 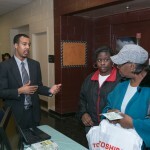 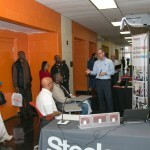 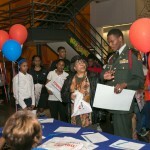 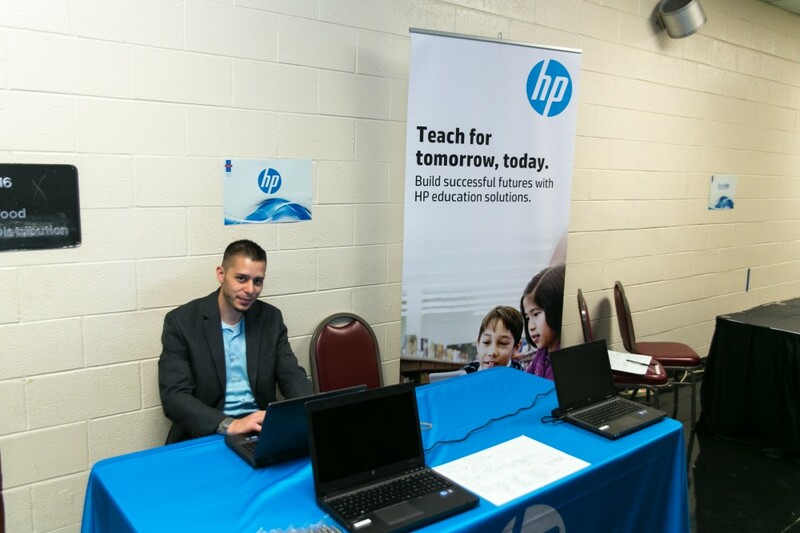 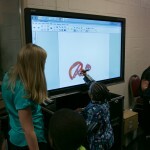 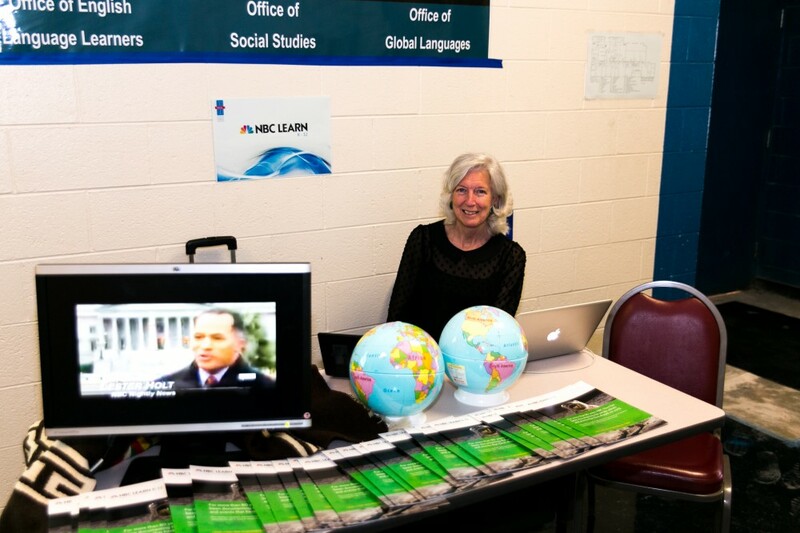 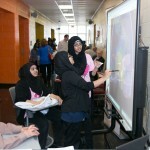 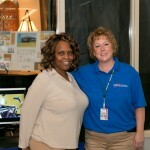 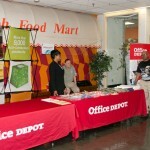 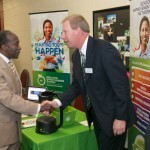 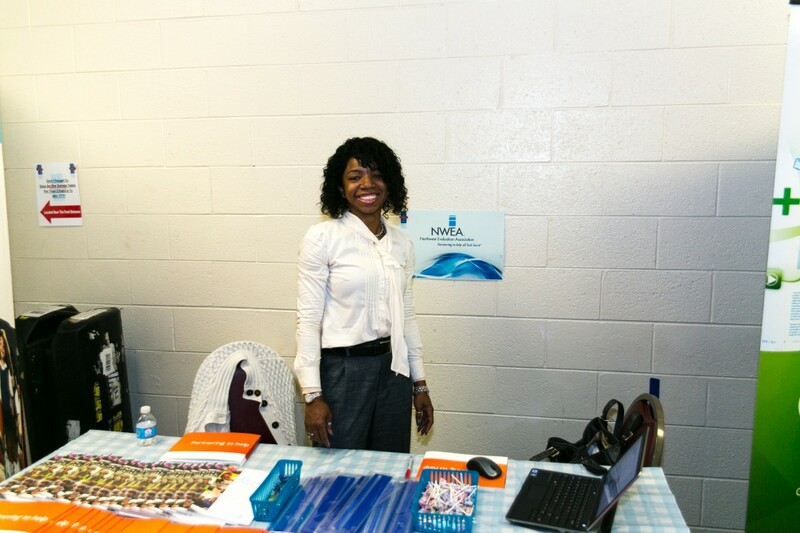 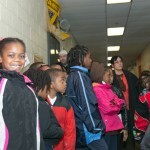 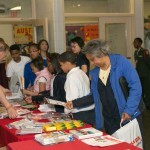 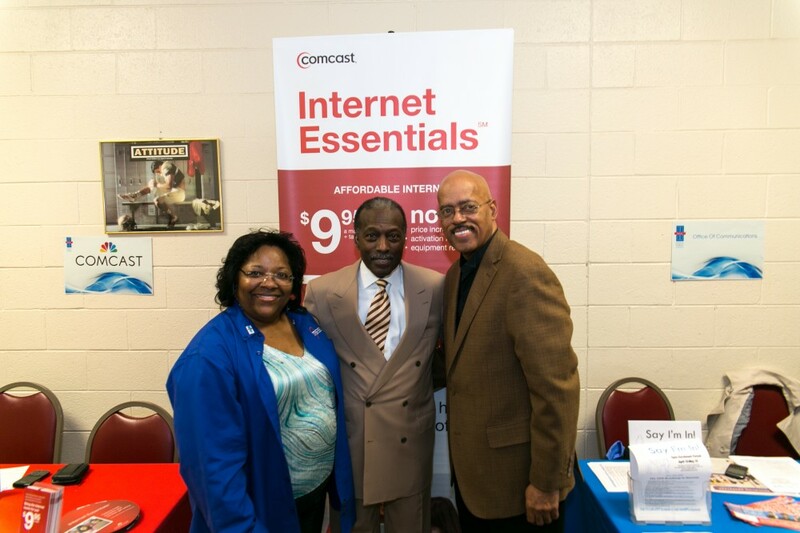 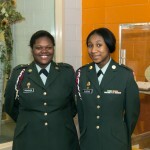 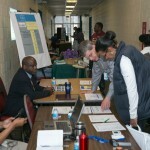 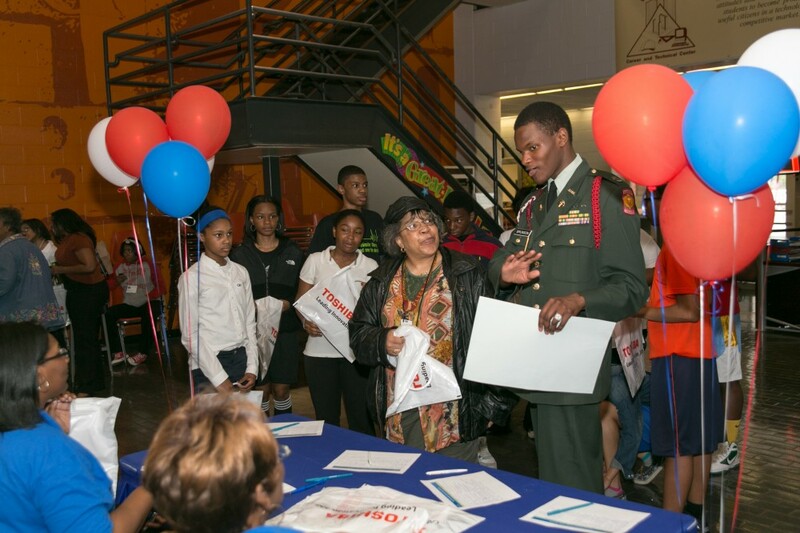 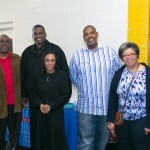 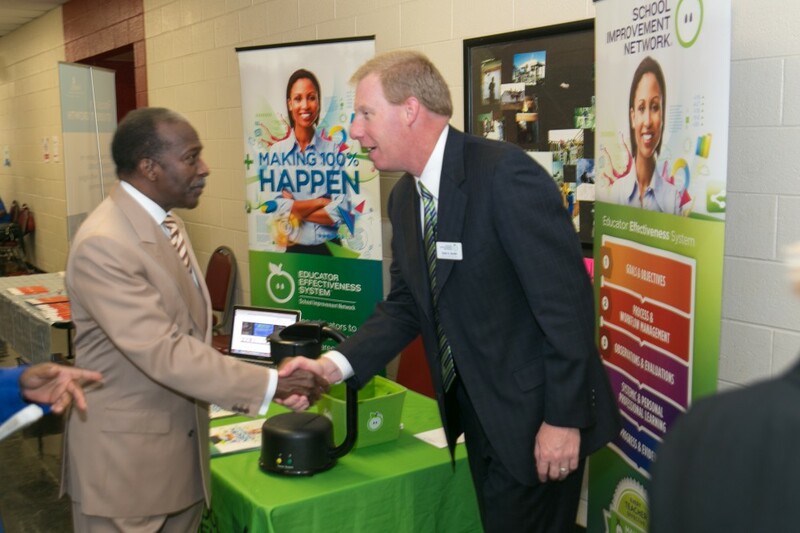 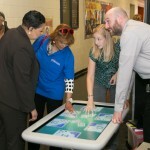 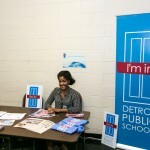 The event featured presentations to teach DPS parents, students and community members how to use technology devices, a video presentation from Wayne County Prosecutor Kym Worthy on Cyber Safety, dozens of technology vendors, a display of Student Robotics, information on Open Enrollment and more. 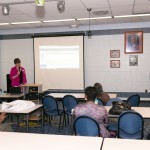 Andrea Keith, Director of Client Engagement with Gaggle, conducted two seminars titled, “Not My Kid: Bullying, Sexting, and Other Safety Issues” and “You’ve Got Gaggle.” An Ice Cream Social was on Tuesday, April 30 from 2-3 p.m.
Attendees had the chance to win giveaways including a Dell laptop with Windows 8 (donated by Compuware) with LoJack Software (donated by Absolute Software), and two Kindle Fires (donated by Office Depot). 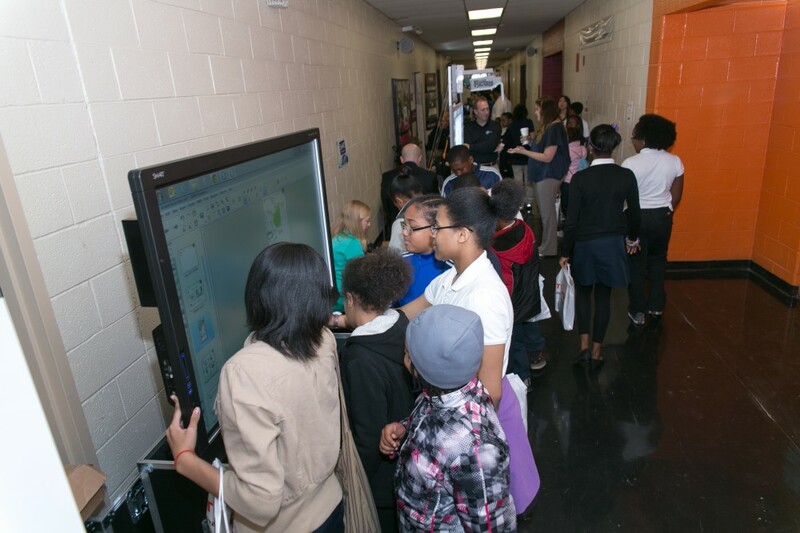 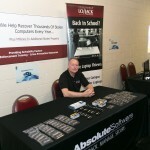 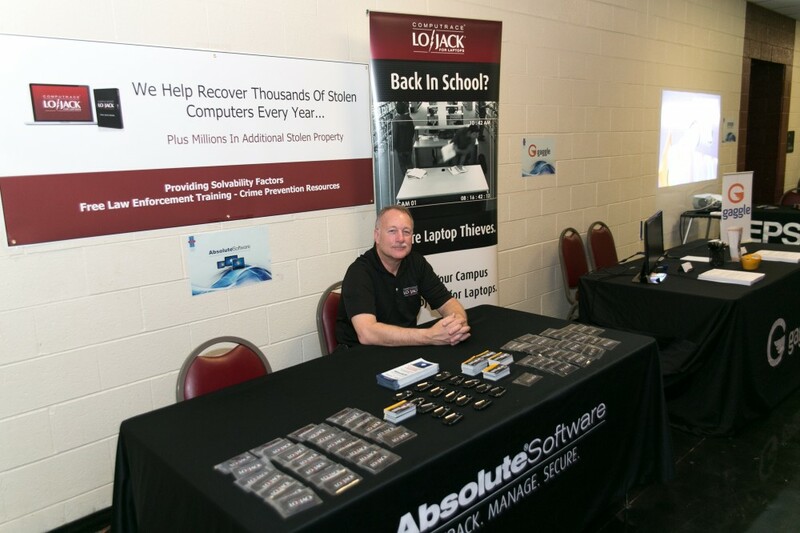 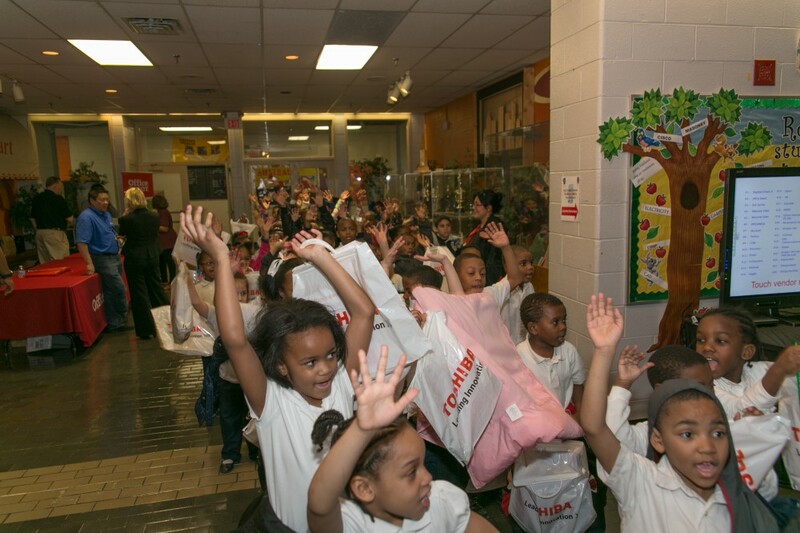 The objective of Technology Month was to showcase the technology utilized district-wide to enhance learning and provide employees, students, parents and community members with facts and tools to improve their understanding and interaction with technology information and devices used to educate and protect DPS students. 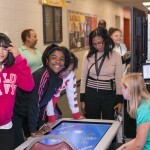 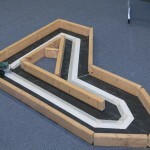 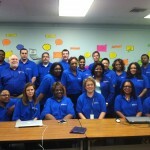 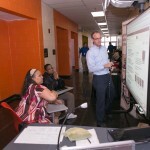 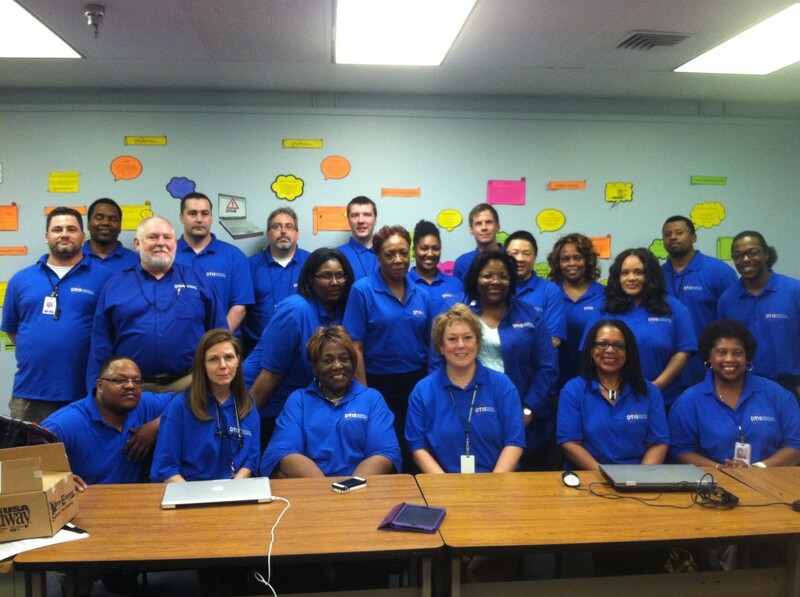 The Division of Technology and Information Services offered Parent Computer Training Workshops each Wednesday in April beginning April 10, and the last course will be offered the first week of May with morning and afternoon sessions. 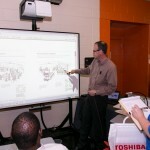 The courses were free and registration was required. 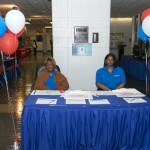 Shuttle transportation services were provided from the Parent Resource Centers to training sites. 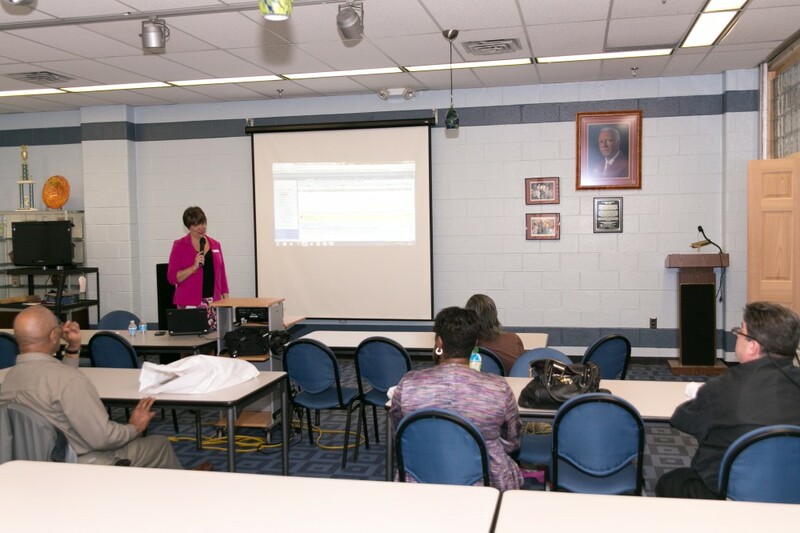 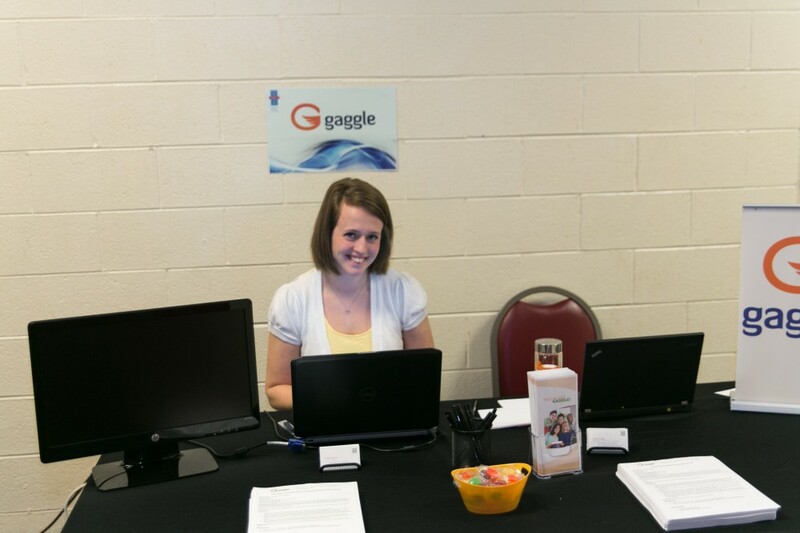 Through the Parent Computer Training Workshops, parents learned essential computer skills and how to use parent portals such as Gaggle and Parent Connect to become actively engaged in their students’ progress from home. 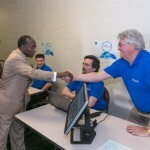 Course I-Intro to Computers covered: Turning on a PC; logging on/off; launching programs; introduction to Microsoft Office tools such as Word and Excel; navigating through the Internet; email basics; Internet safety; and more. 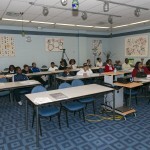 Course II-Advanced Computer Concepts included: Creating a resume with Word; creating a budget with Excel; backup and recovery; advanced email; extended internet safety; downloading; and more. 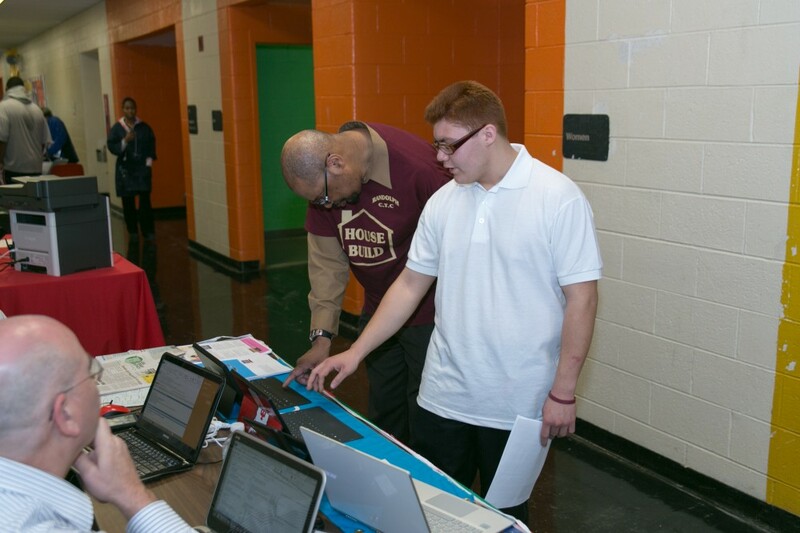 Course III-DPS Technology provided participants a list of all technology available for students and parents through the district including: Wide Area Network (WAN), Smart Carts, Smart Boards, Library Media Center (Gateway), Netbooks, Student Information System, NBC Learn, Parent Connect, Docufide, School Messenger, BlackBoard, Pulse, GradeBook, Gaggle, SMS Text Messaging and other applications. 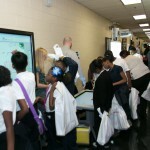 Promoting educational excellence not only during school hours, but also at home, all students in grades 6-12 have access to Netbook computers, and students in grades 8-12 enjoy take-home Netbooks. 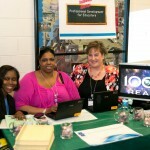 Every teacher also has a Netbook for classroom and home use. 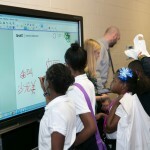 New Apple MacBooks, iMac computers, iPad tablets and Smart Boards are available in most classrooms.